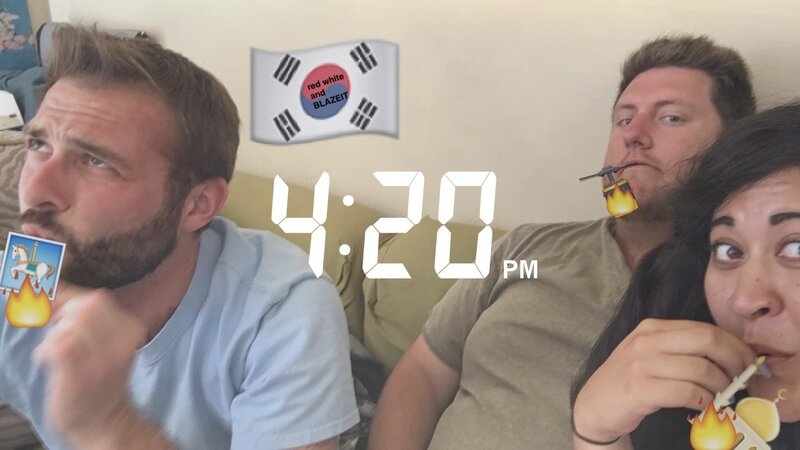 Everyone hates Fake News. 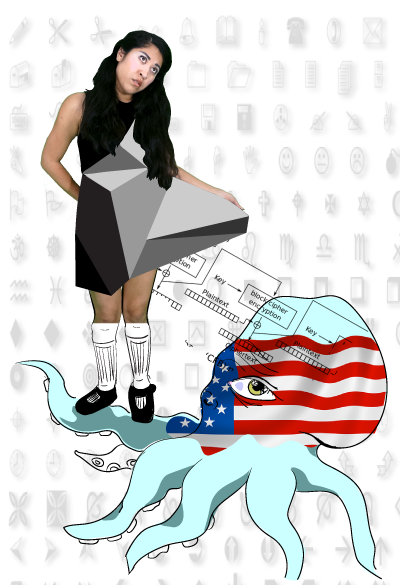 In this project, I take it a step further. 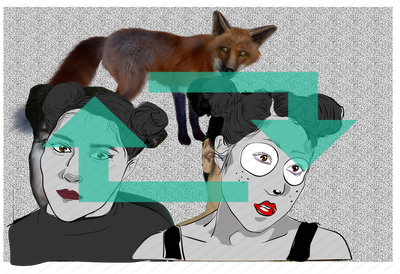 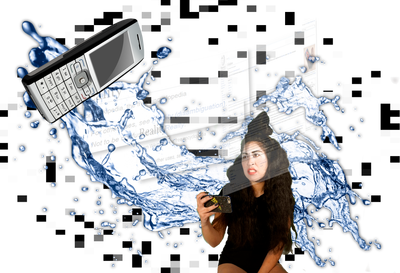 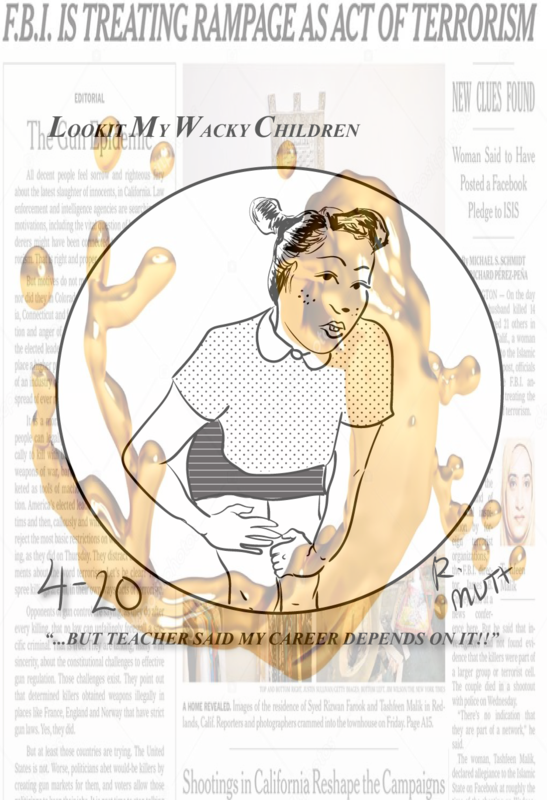 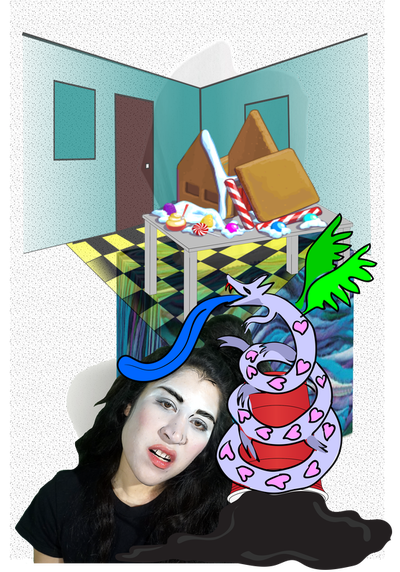 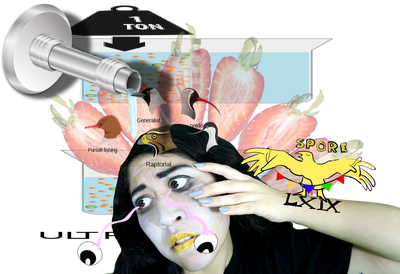 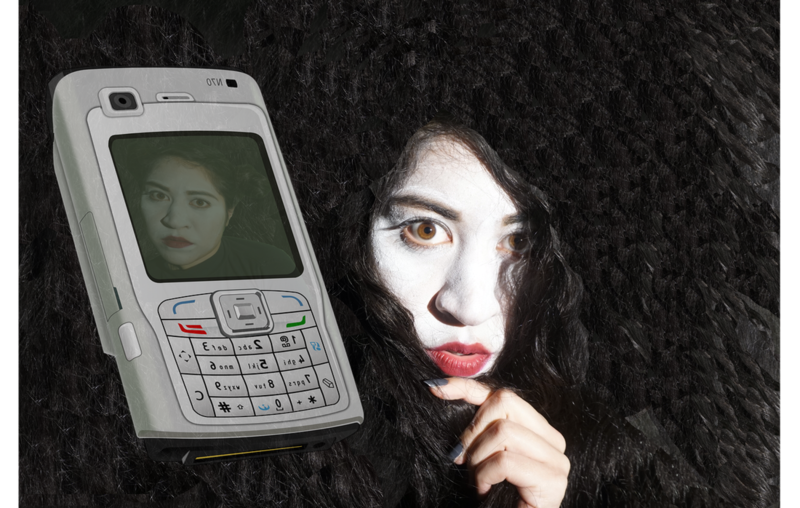 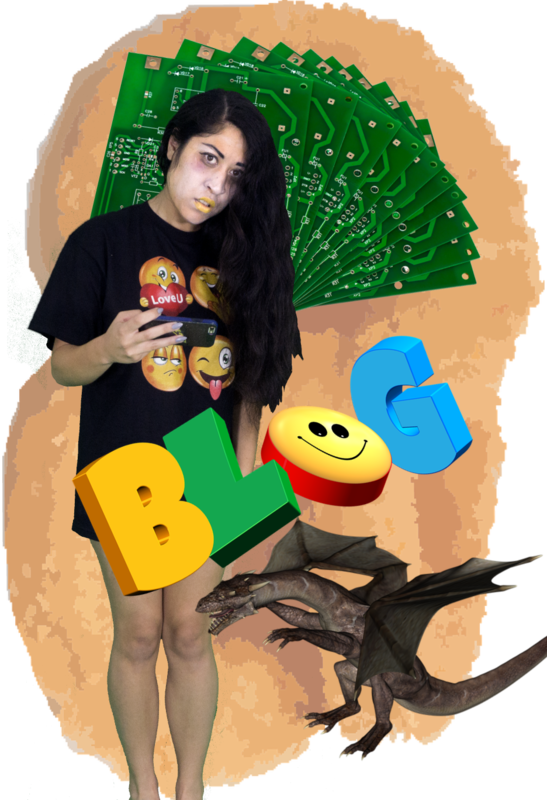 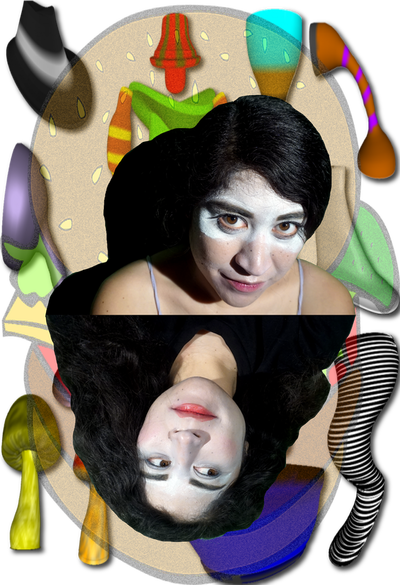 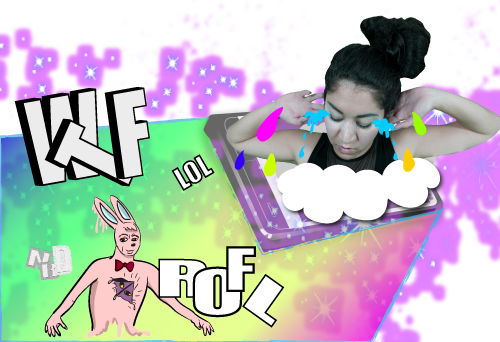 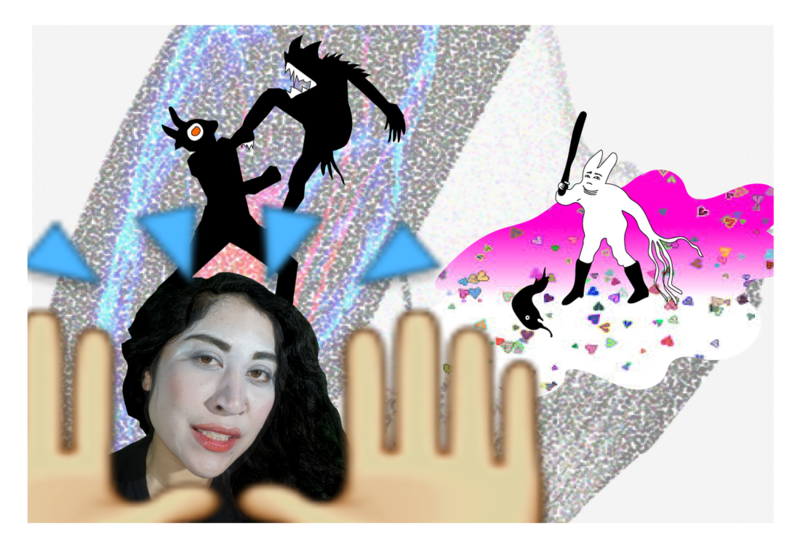 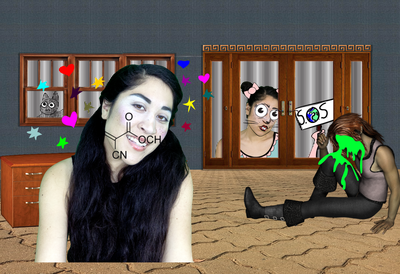 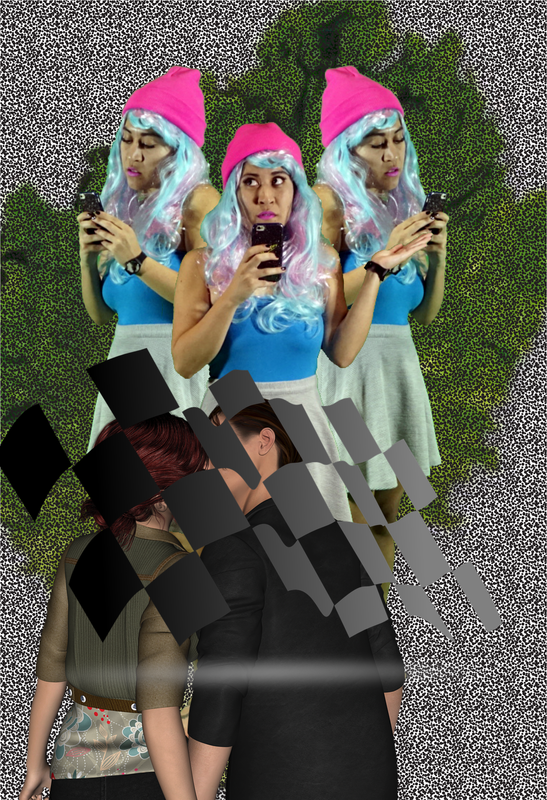 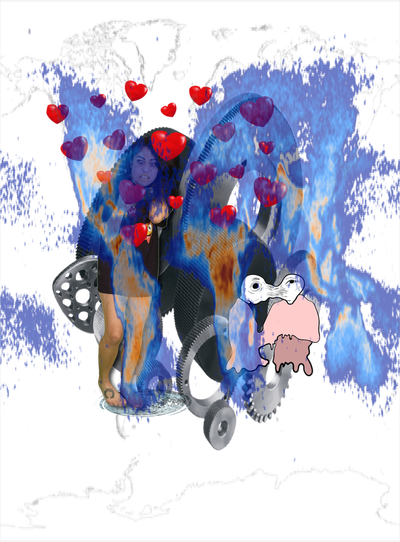 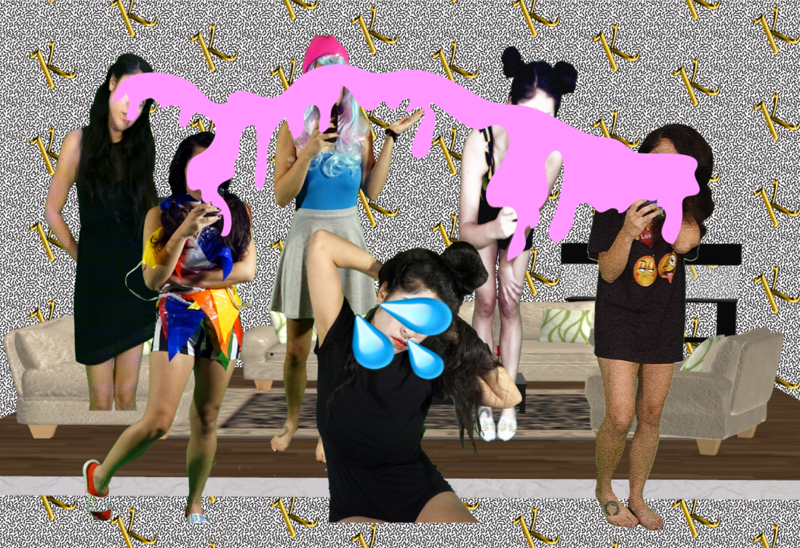 Using a random phrase generator with words commonly found in online news media as a script, I incorporated selfies and found images to make absurdist collages. 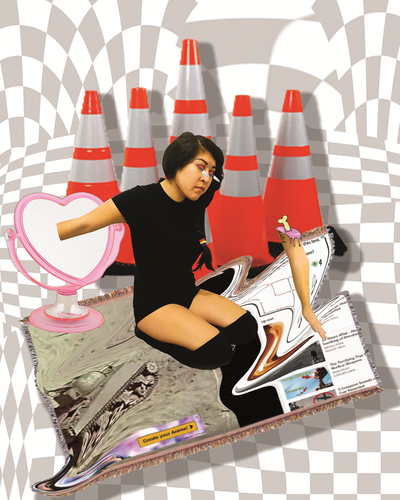 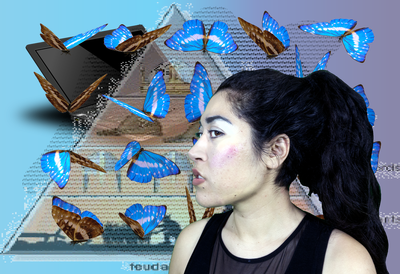 I exhibited the printed versions of these images at my MFA exhibition. 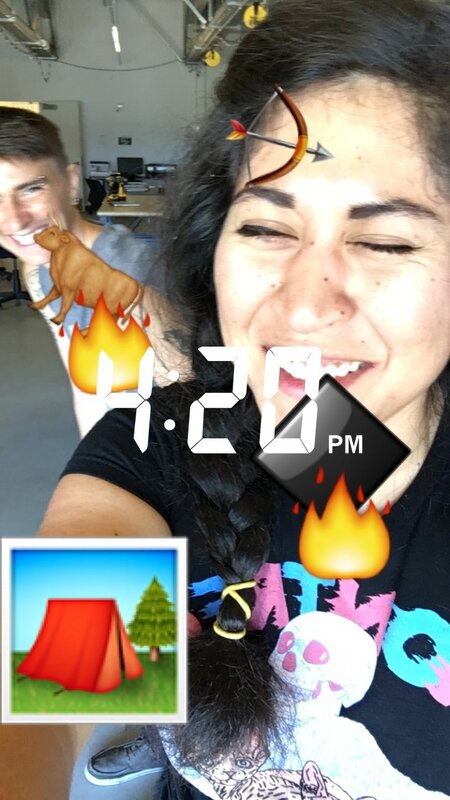 When viewed on a computer, the PNGs have a completely different effect! 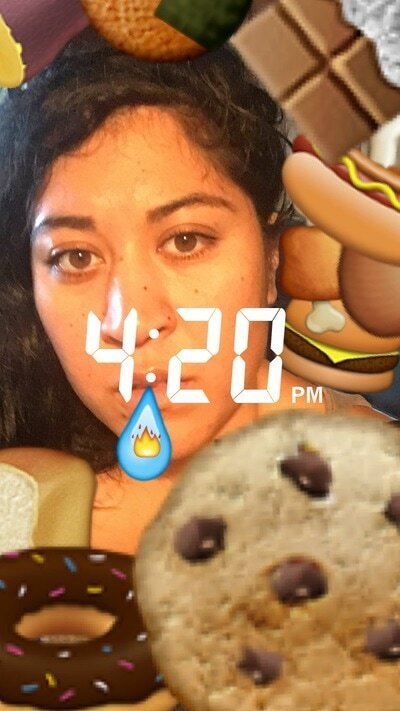 This explore potential solutions to the endless number of 'rejected' selfie images I've taken. 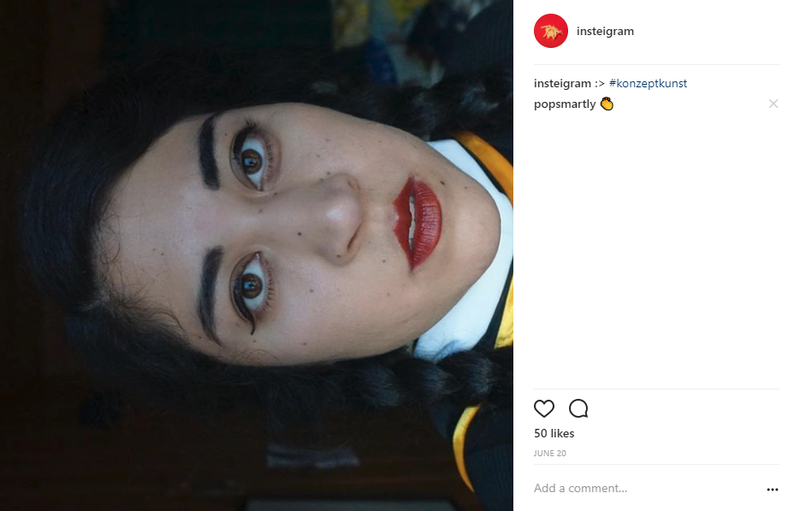 Additionally, we take celebrity for granted - the text serves as imaginary inner criticisms of the leisure class or possible commentary on contemporary topics by historical figures. 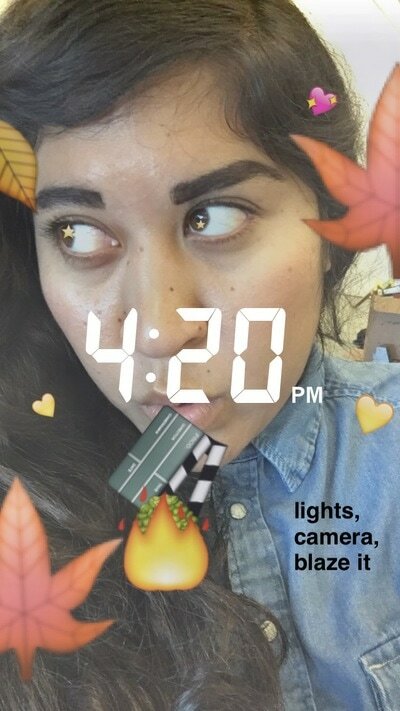 @insteigram documents her daily life with daily selfies taken with a Sony Alpha a6000 and shares them on Instagram among collages she creates on her phone, things she finds on the web and in 'real life.' 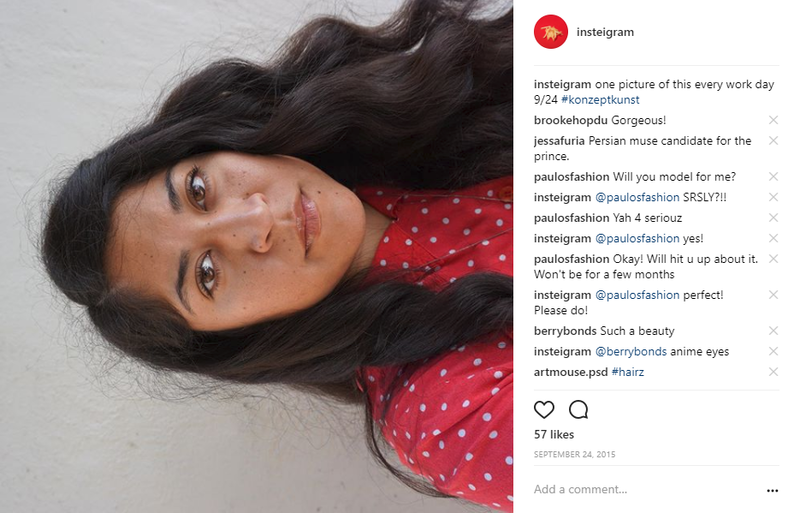 Probably the most notable thing on there is #konzeptkunst; I took a selfie every single day of graduate school, rotated it sideways and posted it every third image. 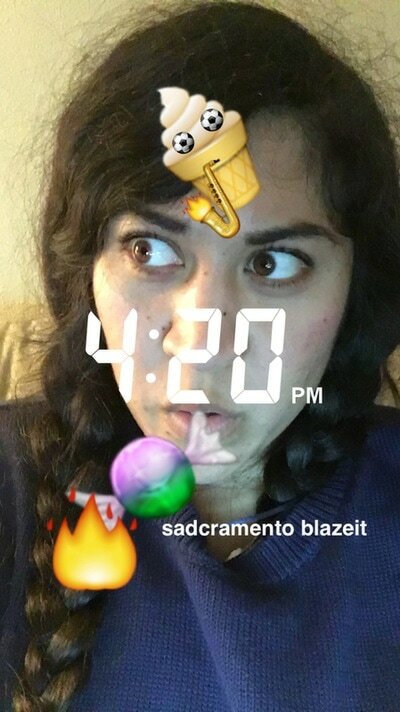 This activity was started by someone who went to UC Santa Cruz. 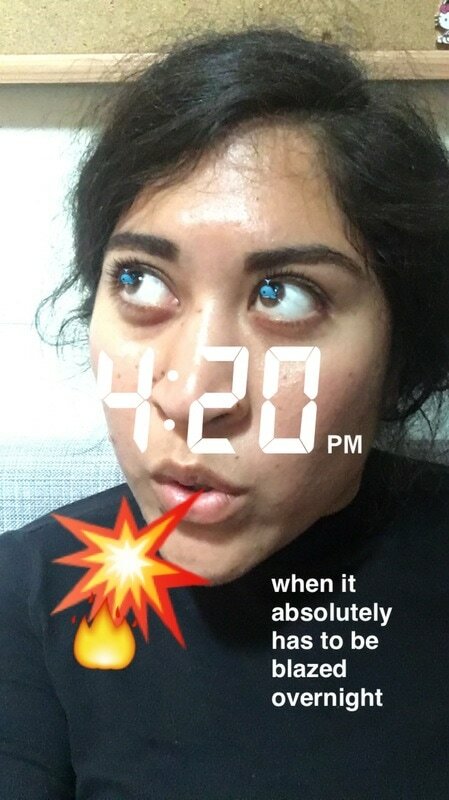 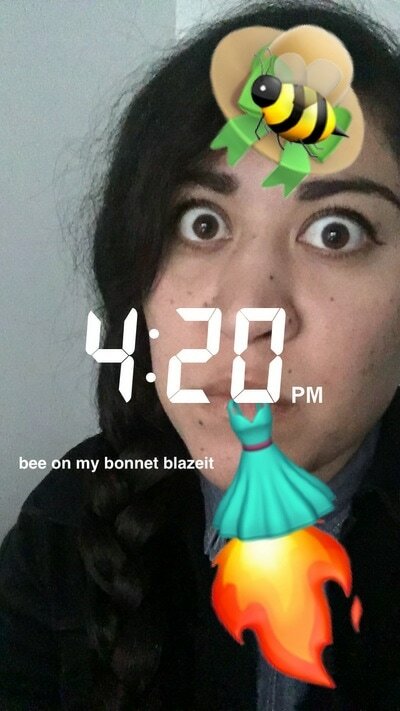 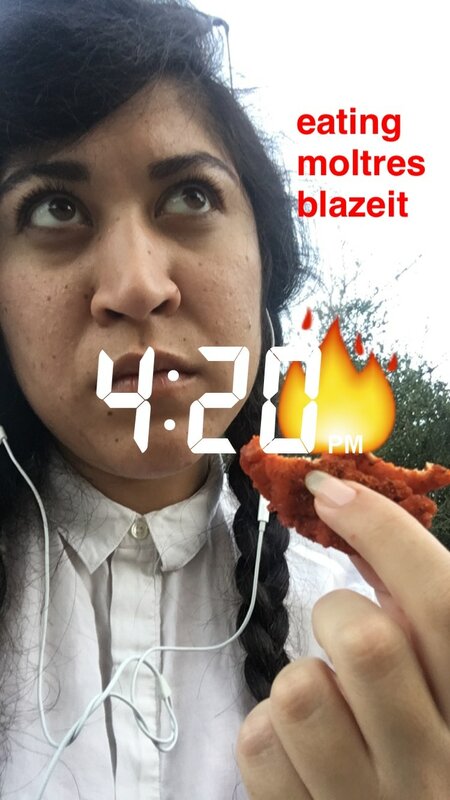 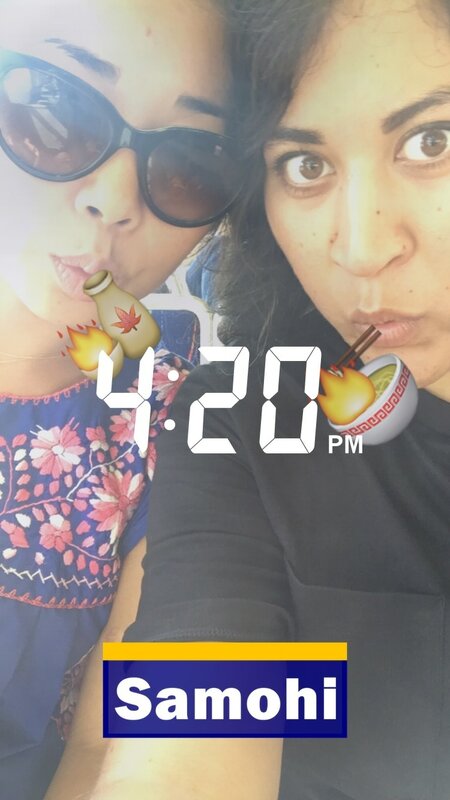 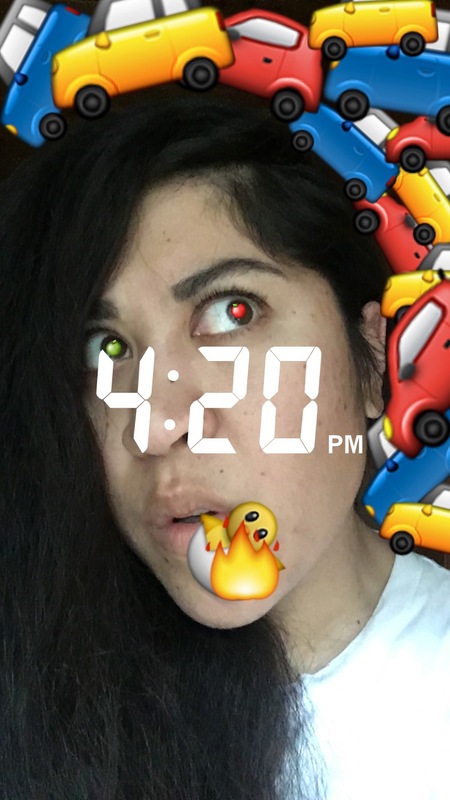 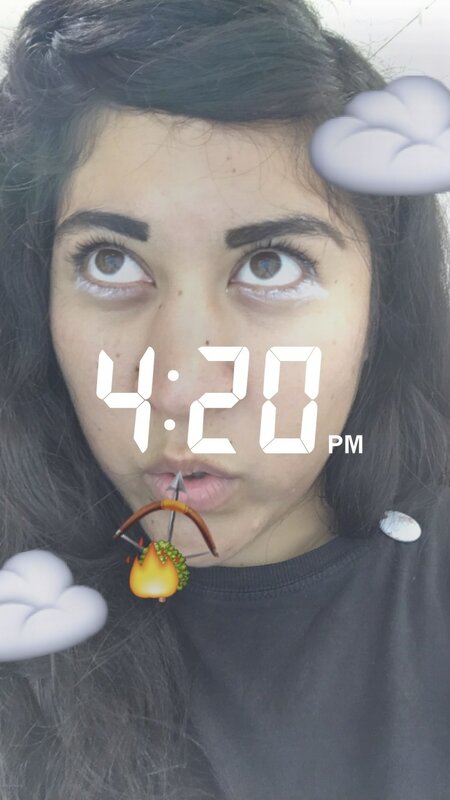 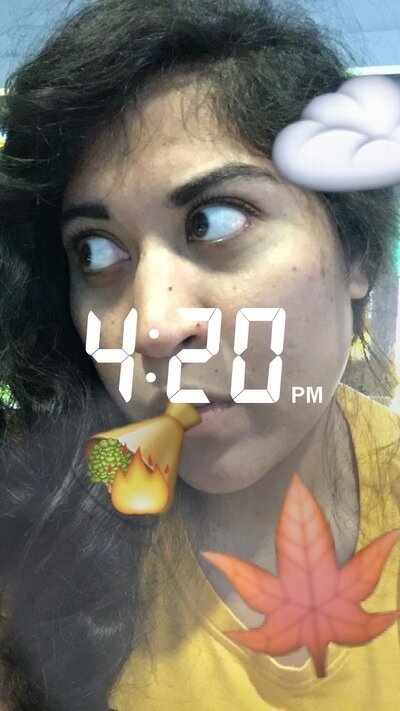 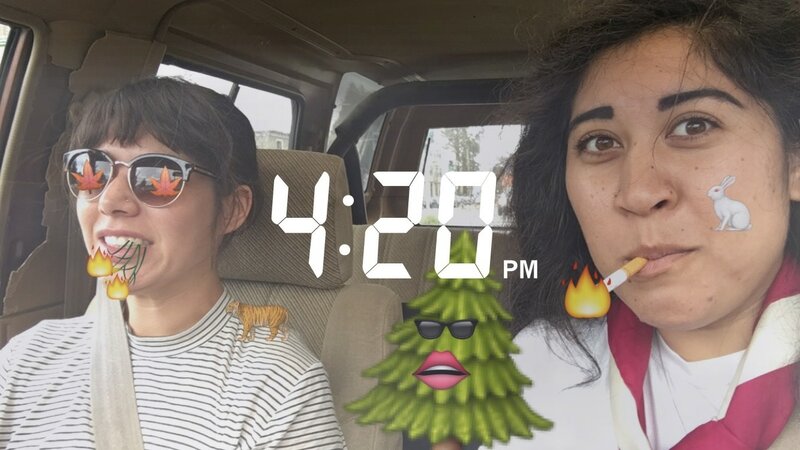 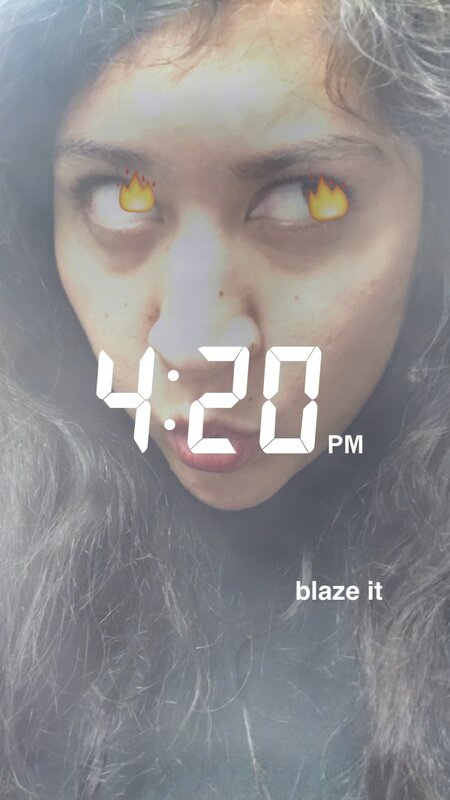 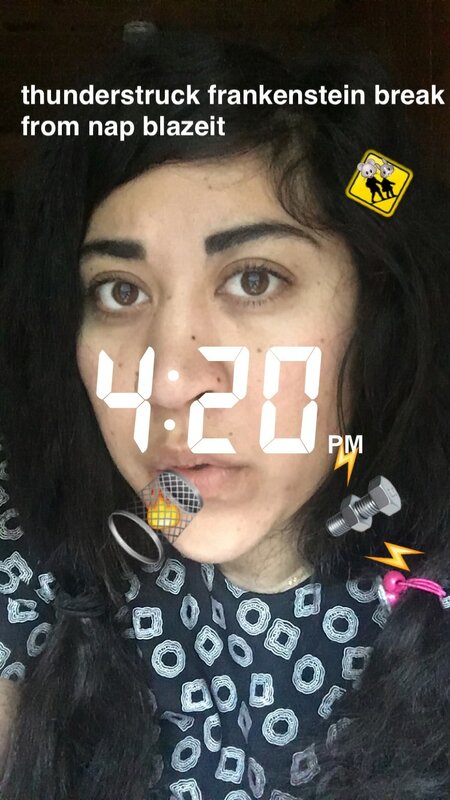 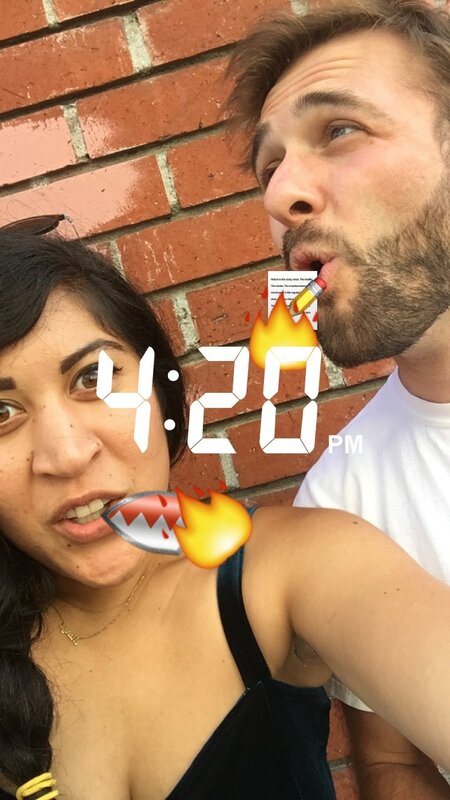 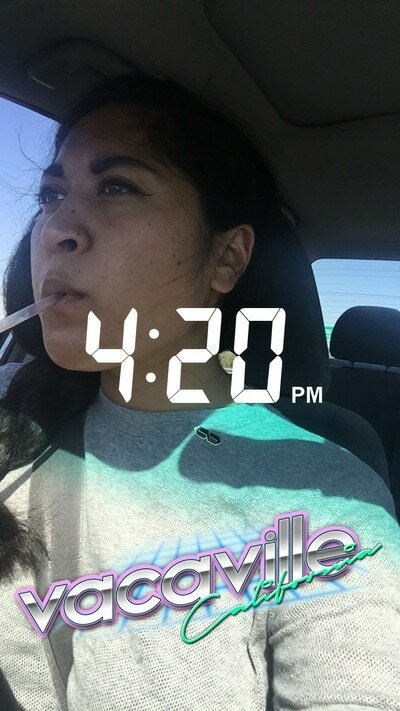 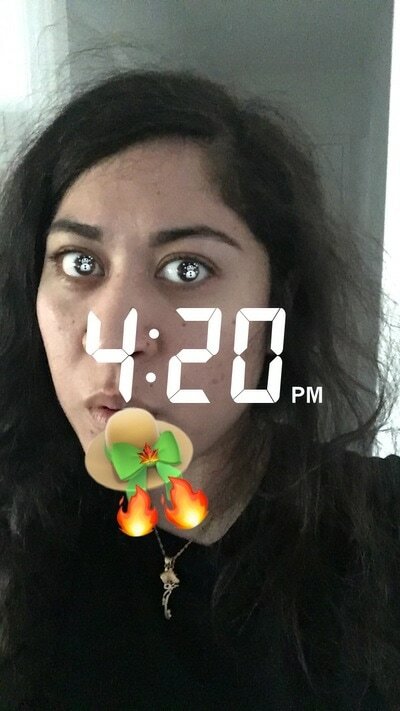 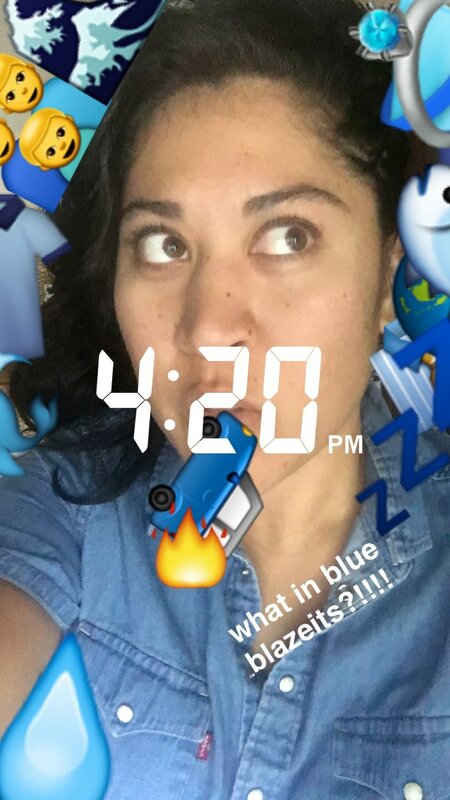 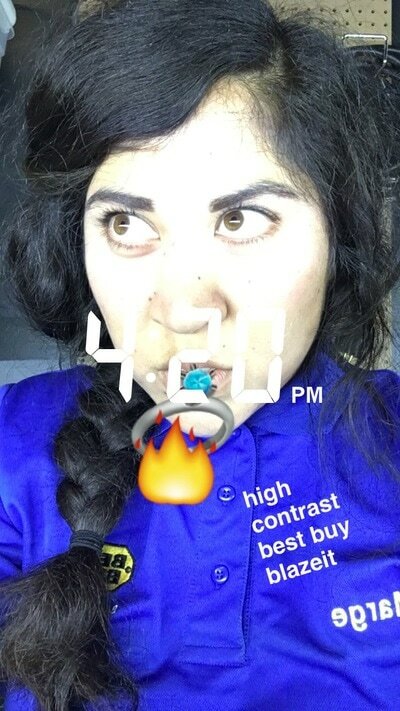 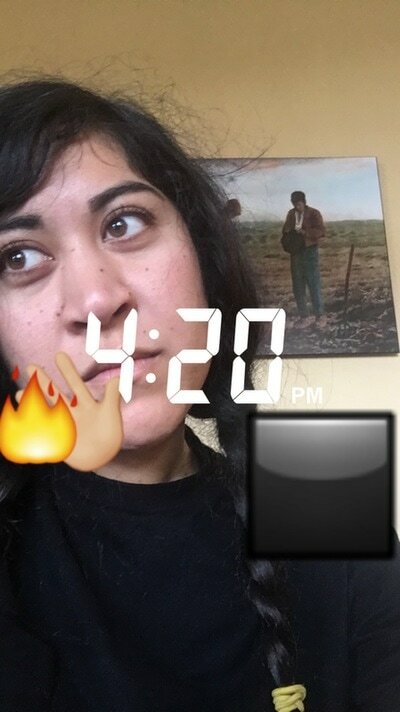 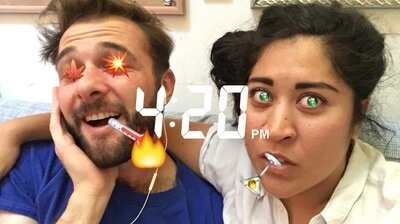 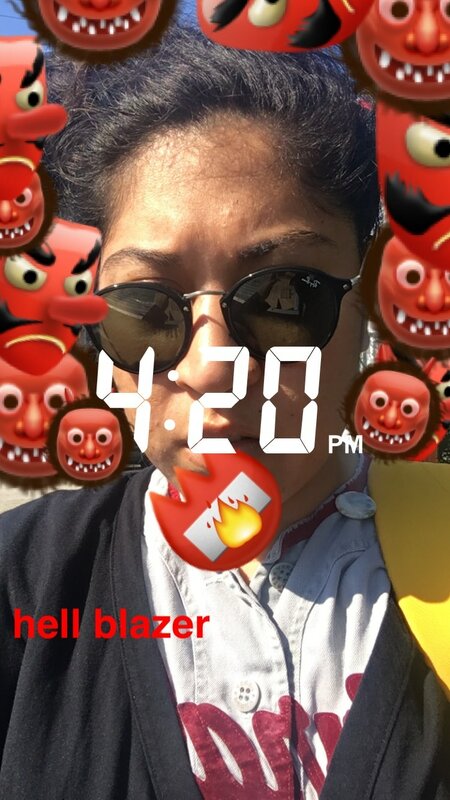 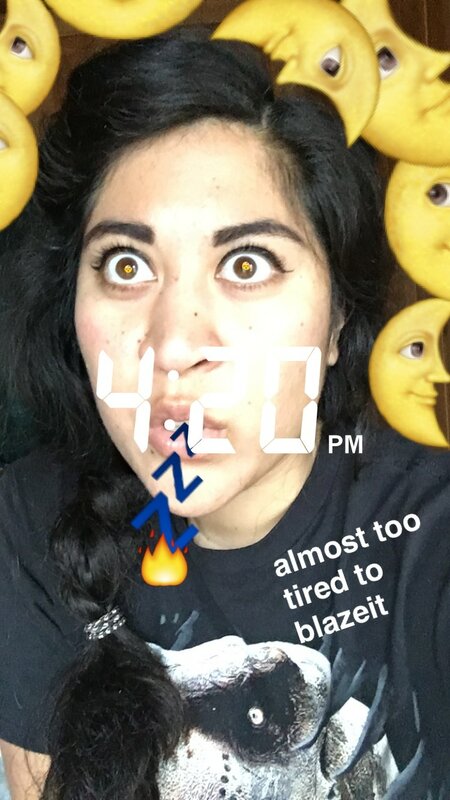 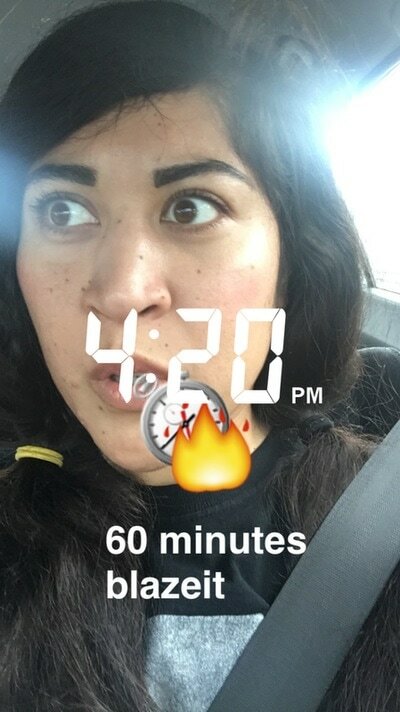 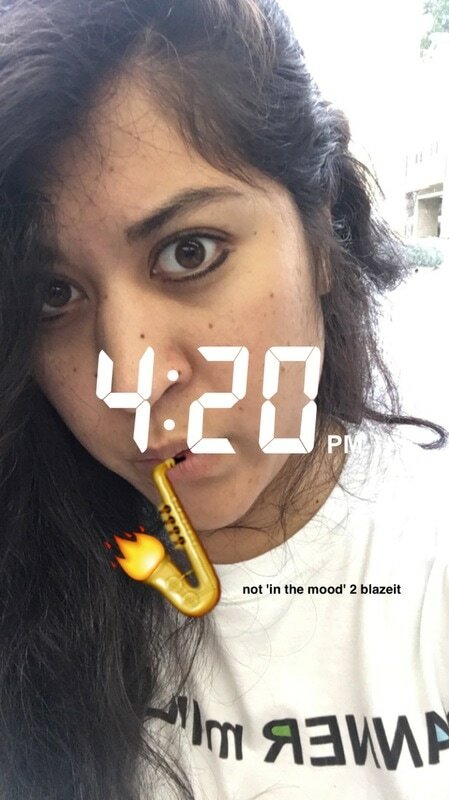 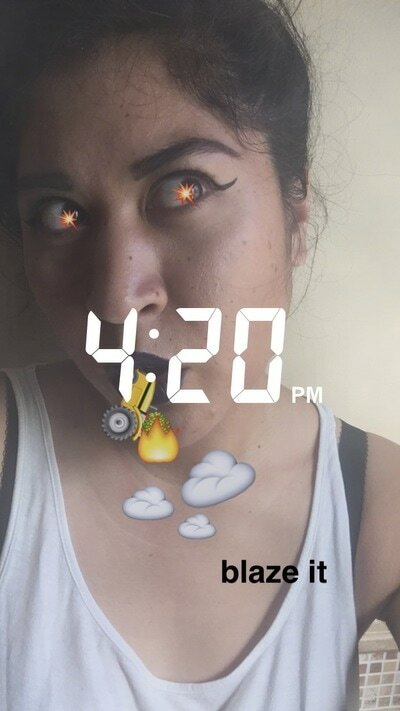 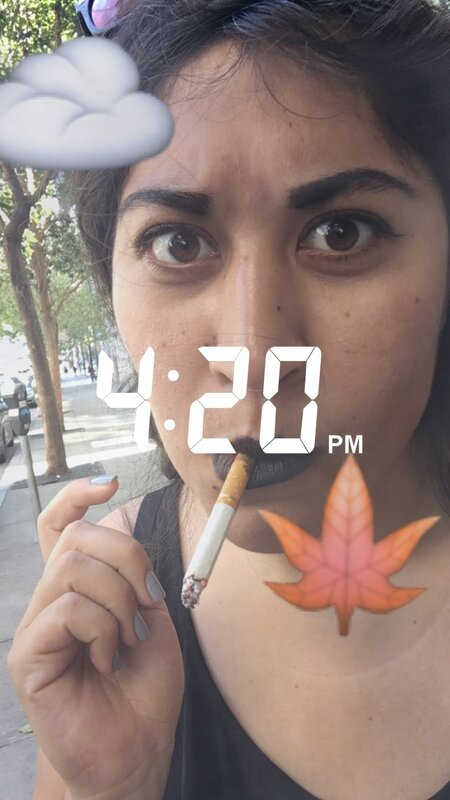 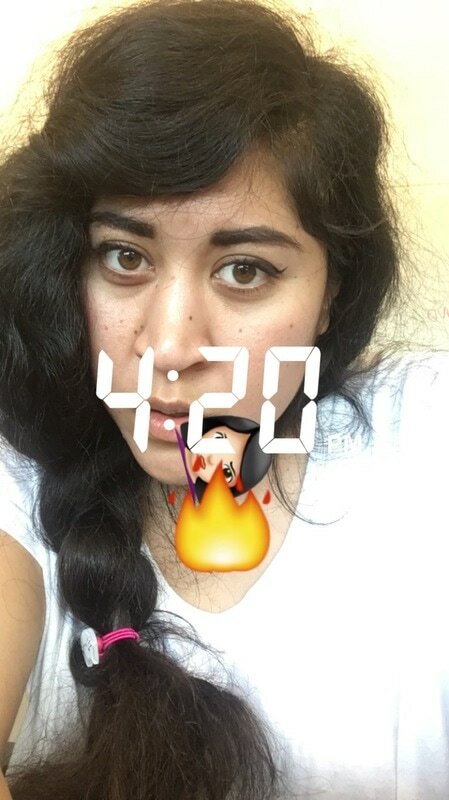 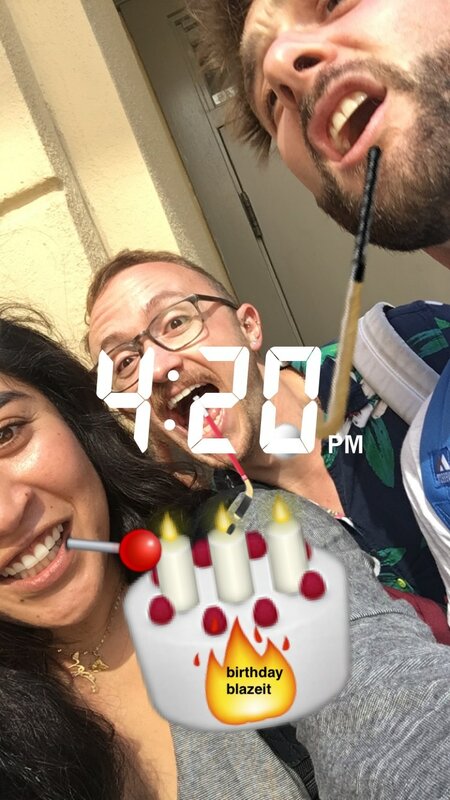 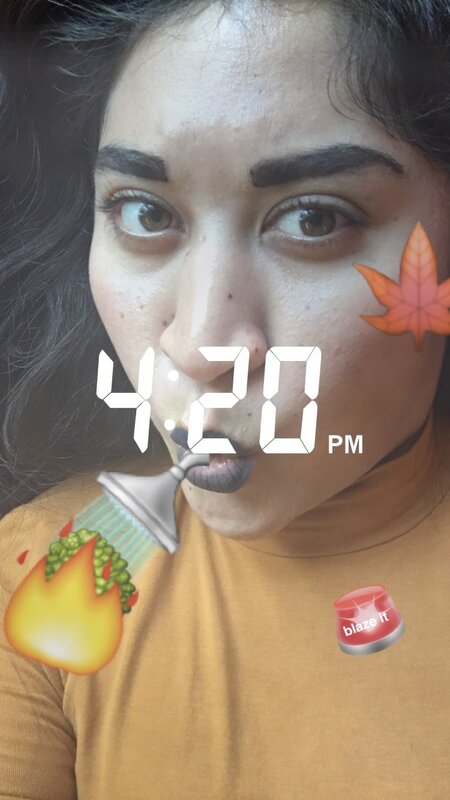 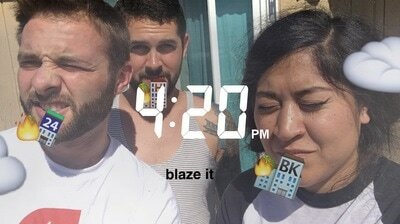 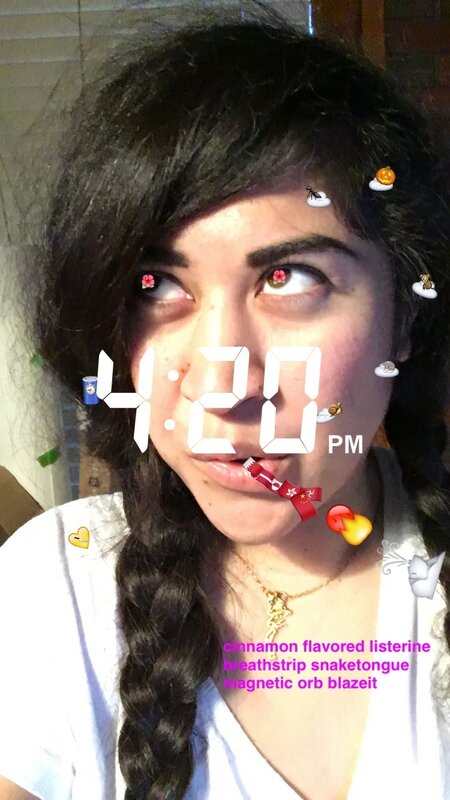 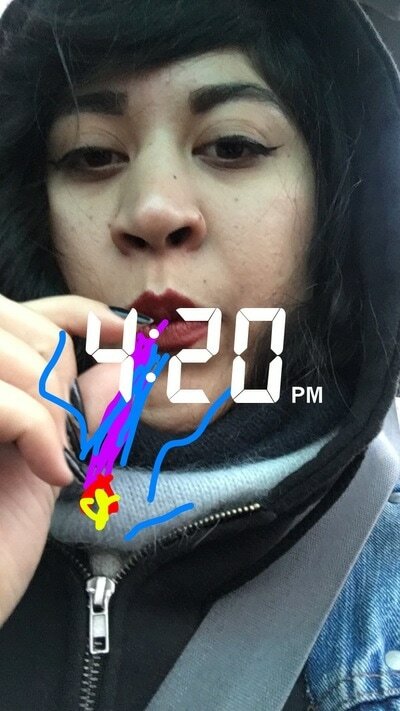 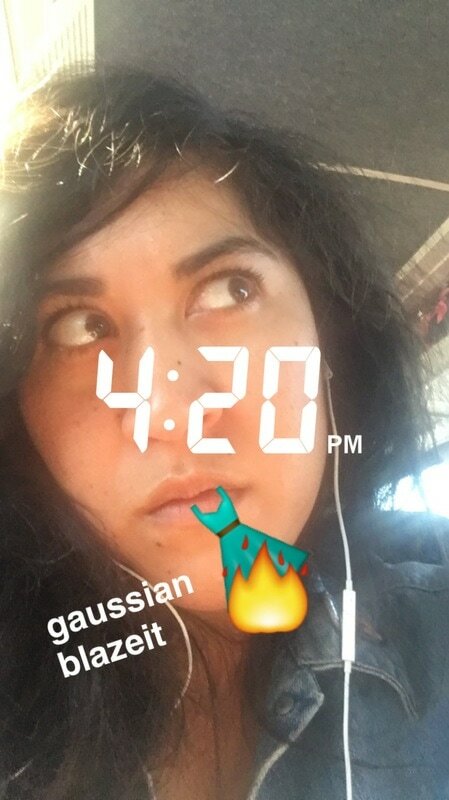 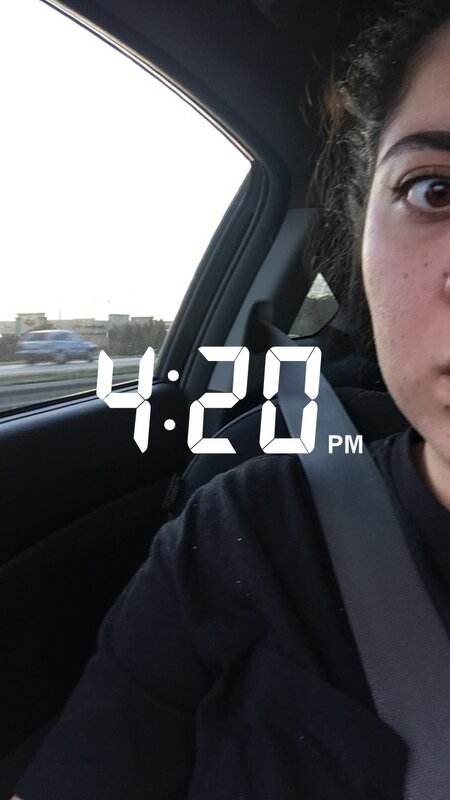 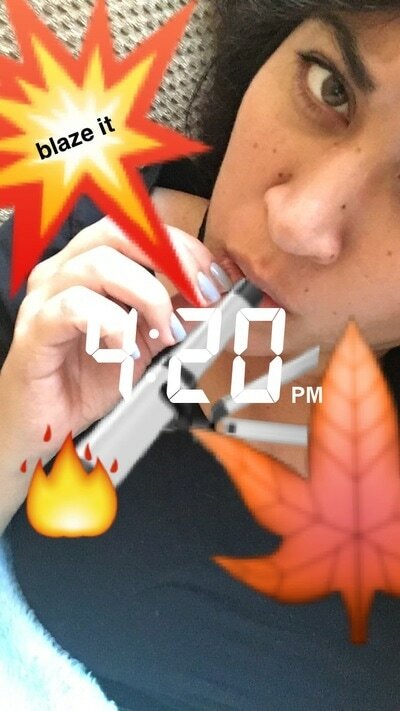 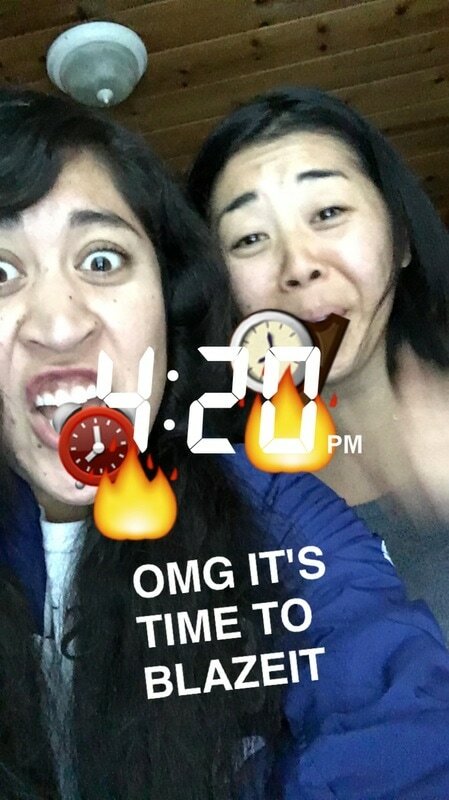 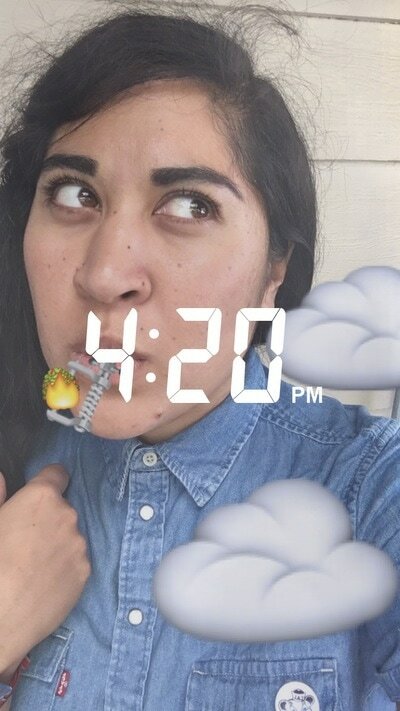 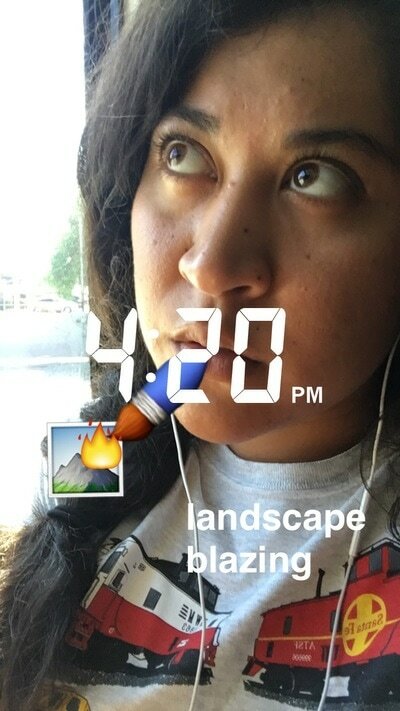 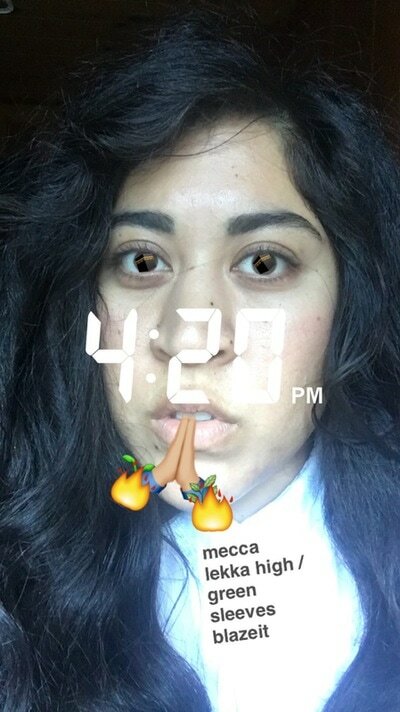 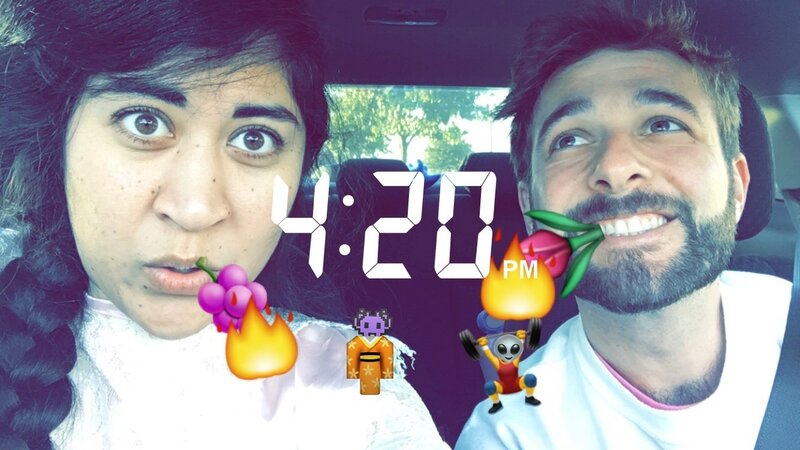 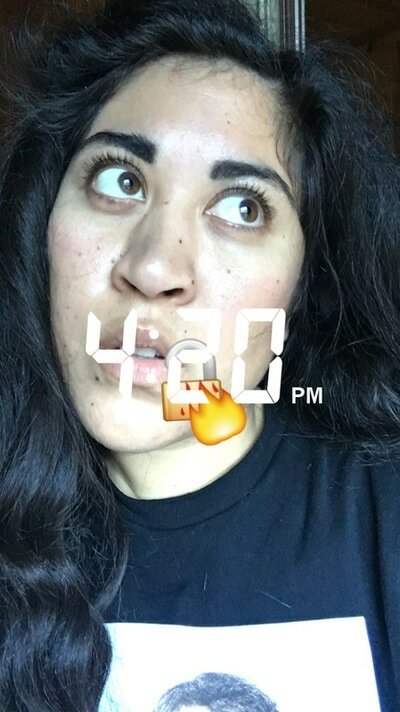 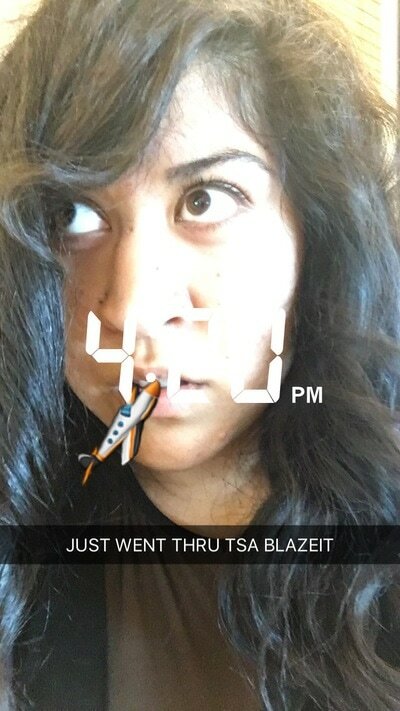 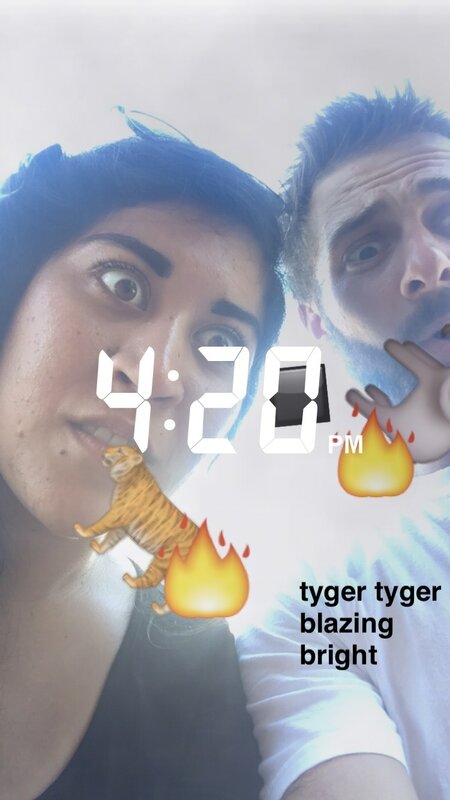 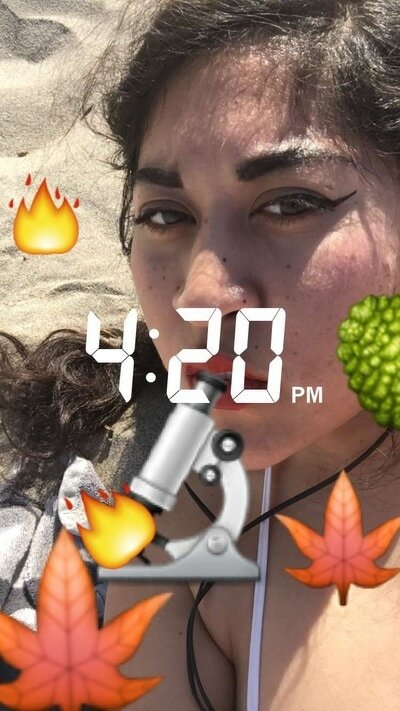 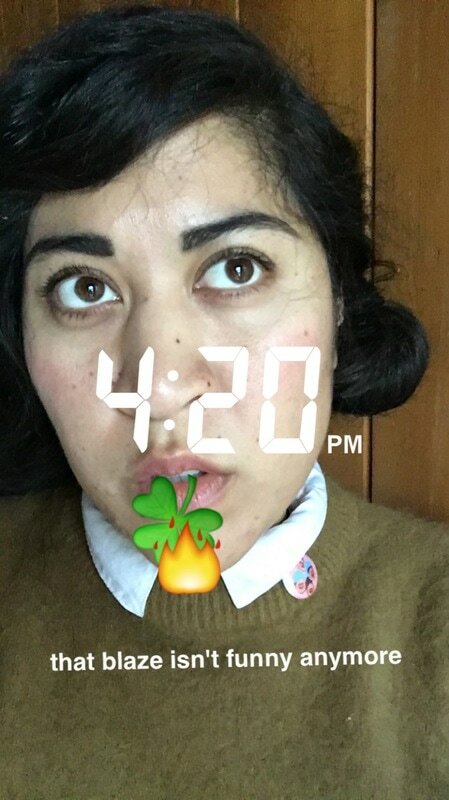 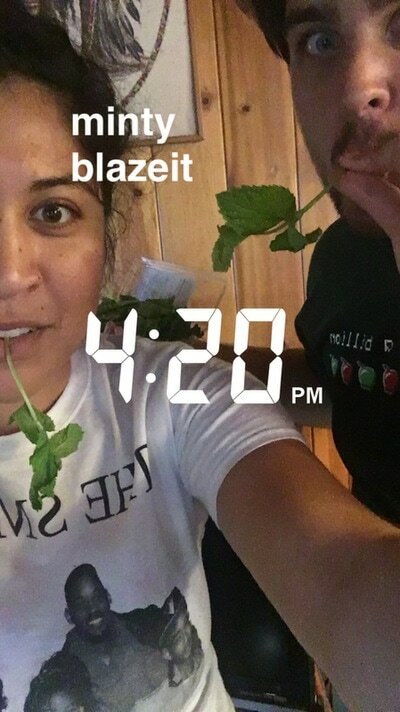 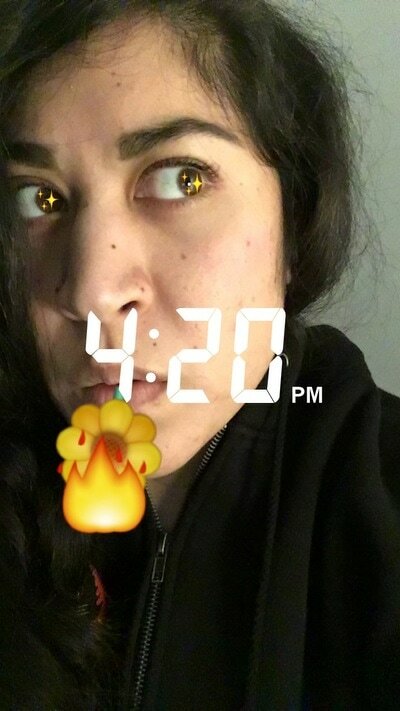 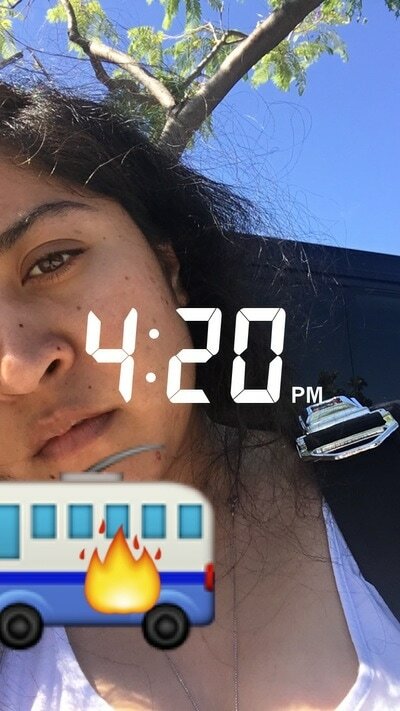 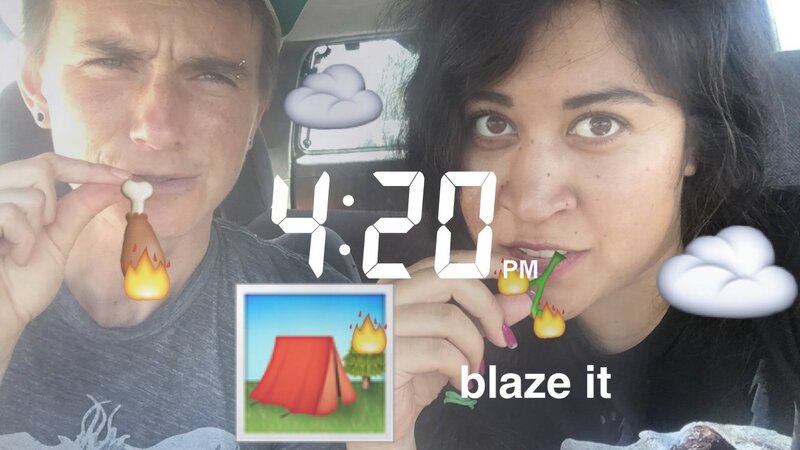 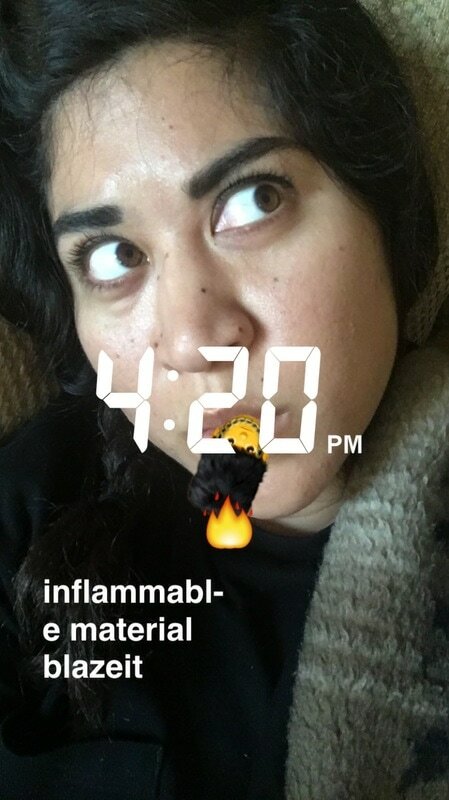 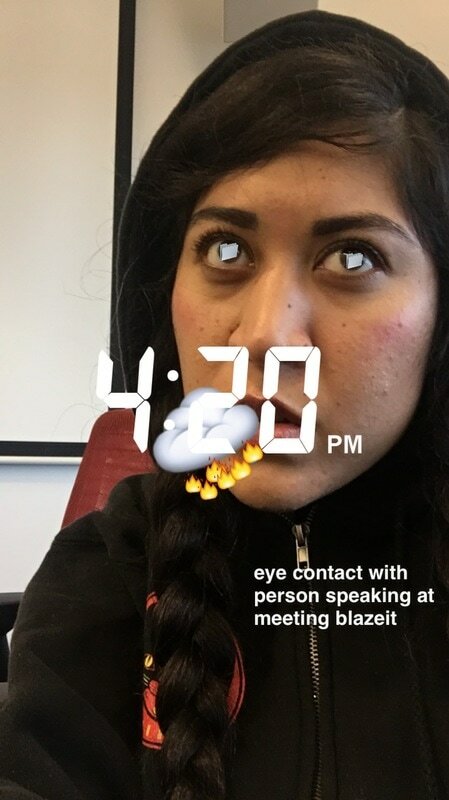 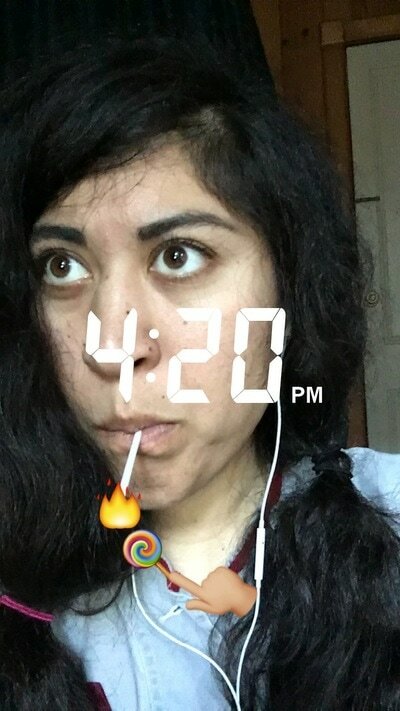 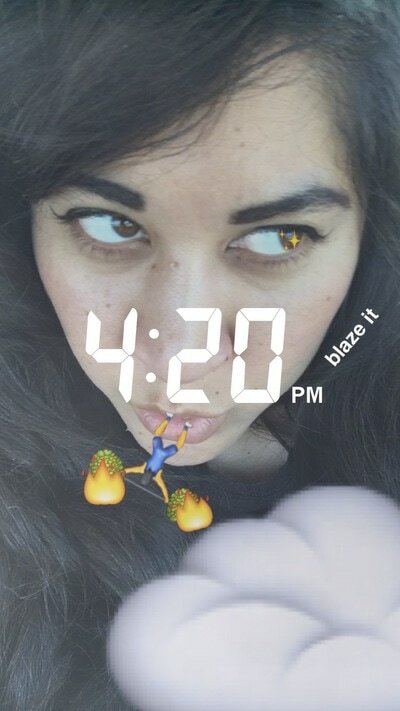 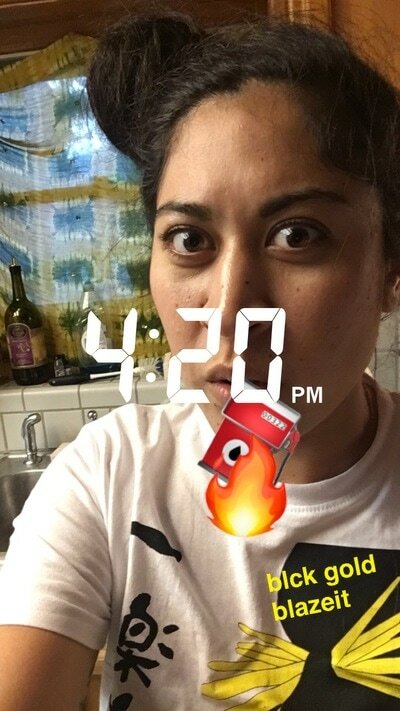 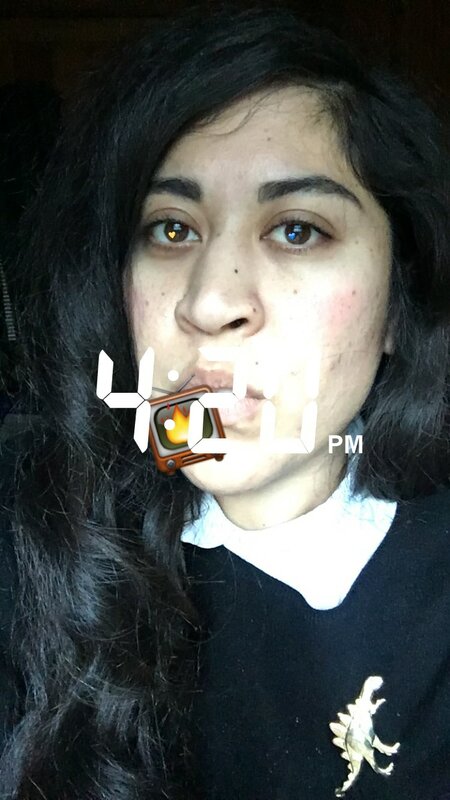 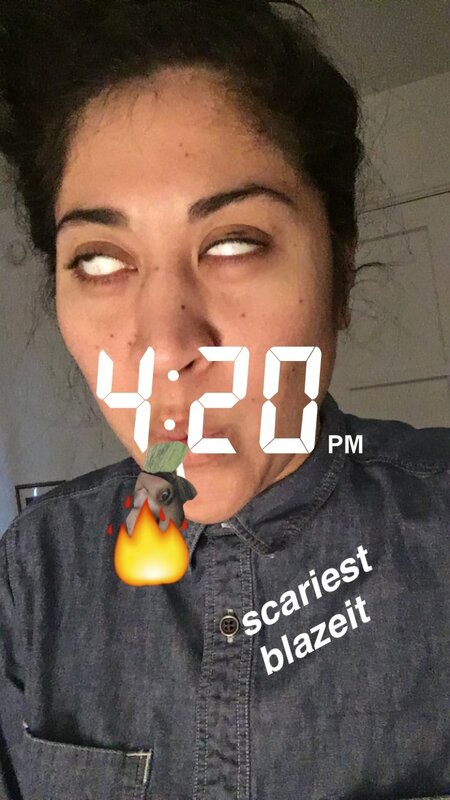 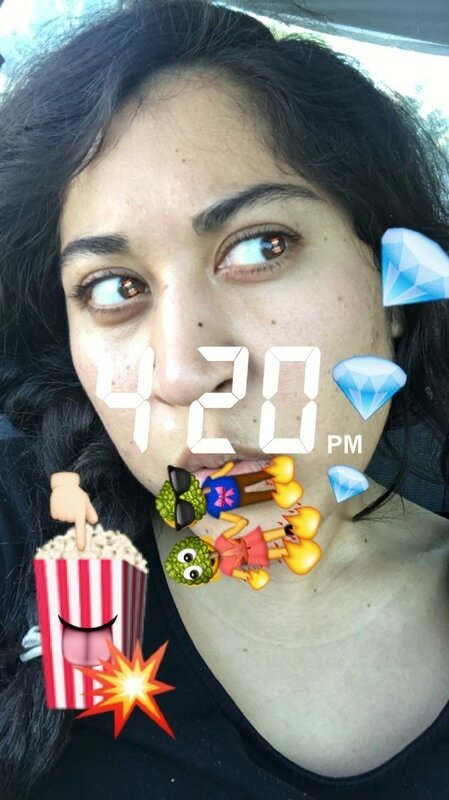 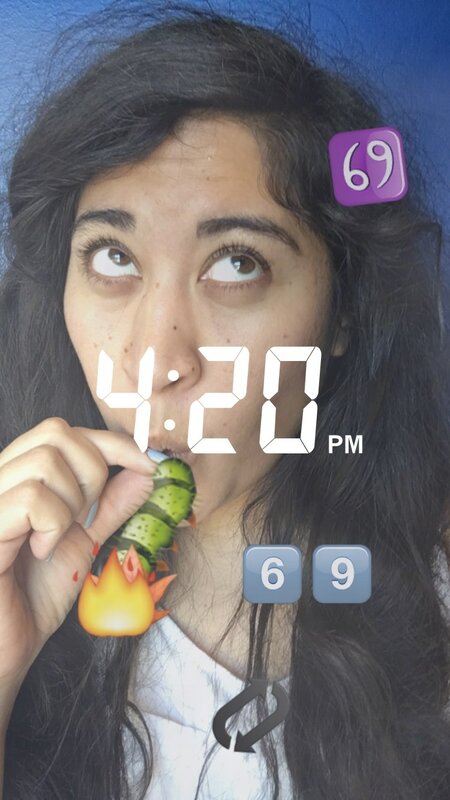 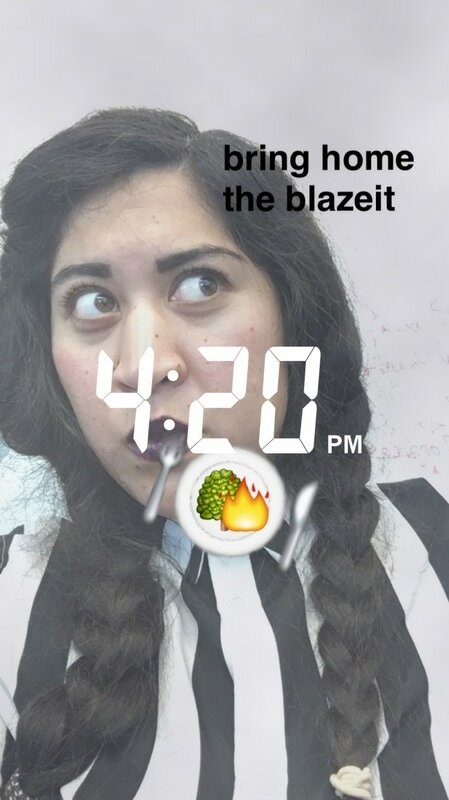 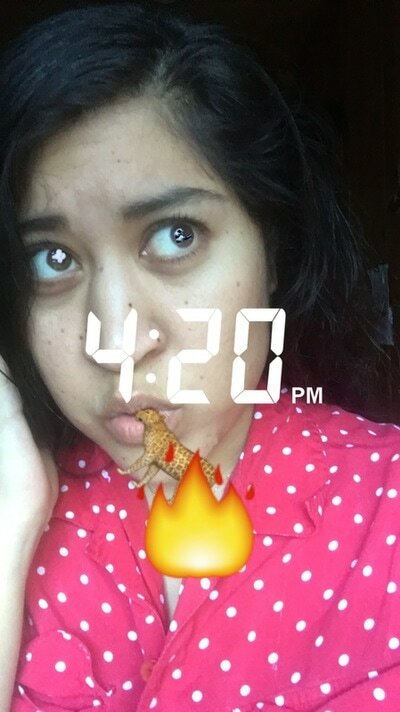 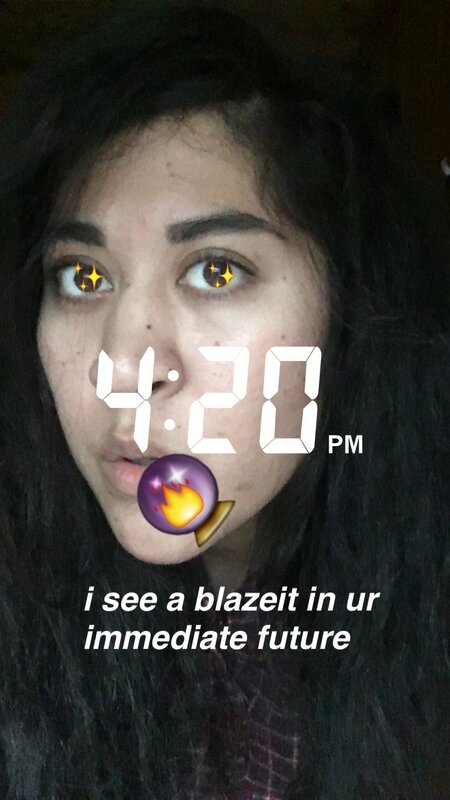 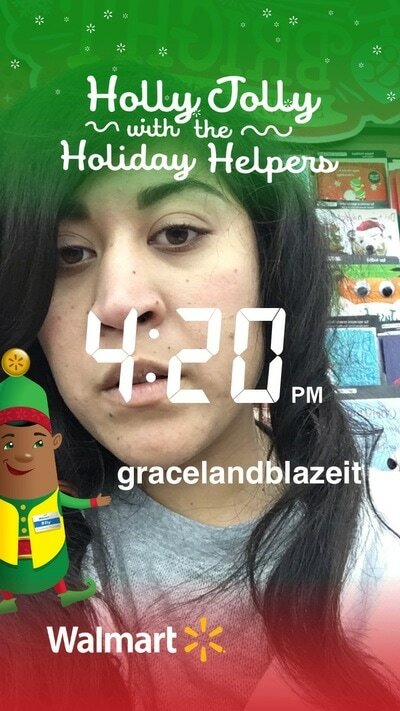 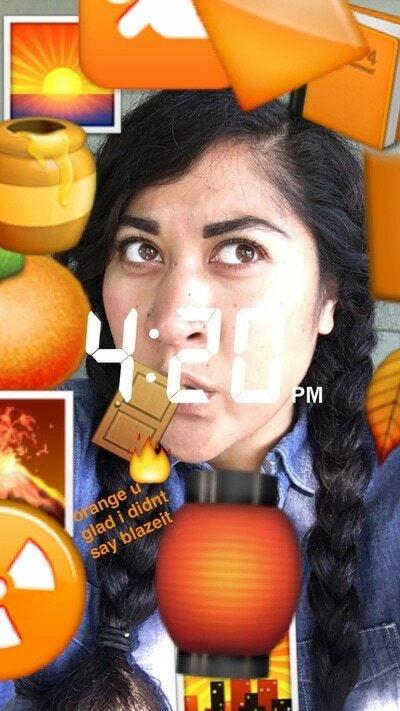 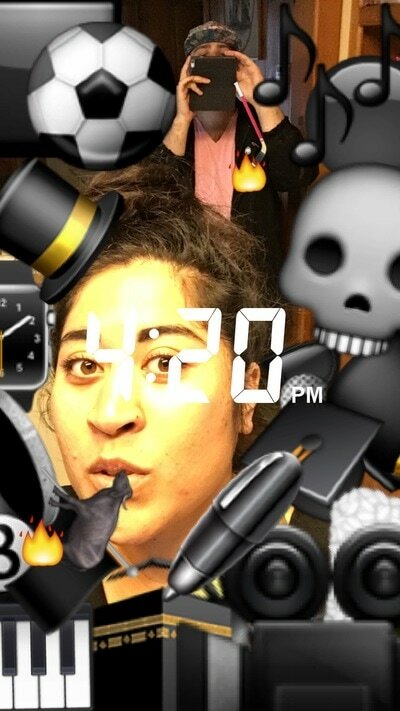 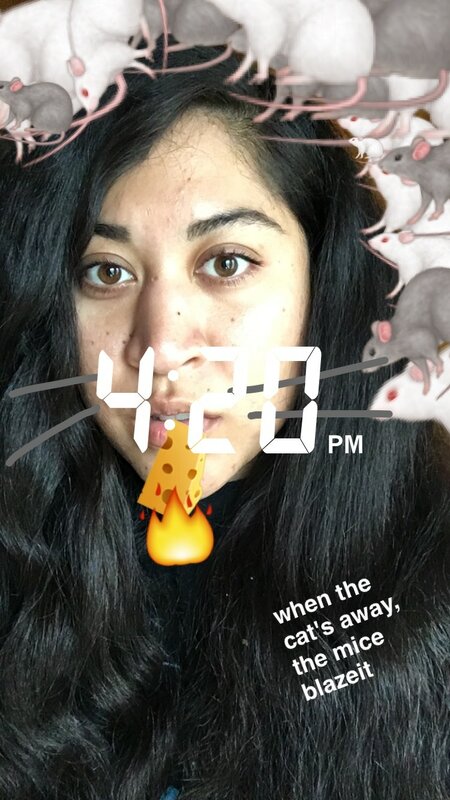 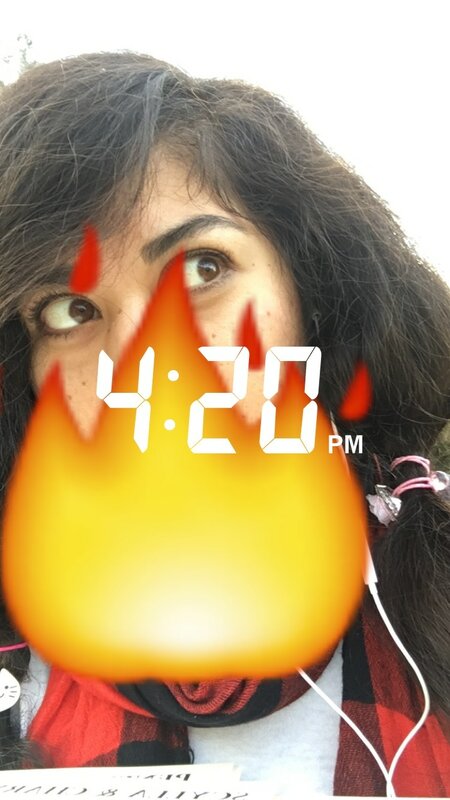 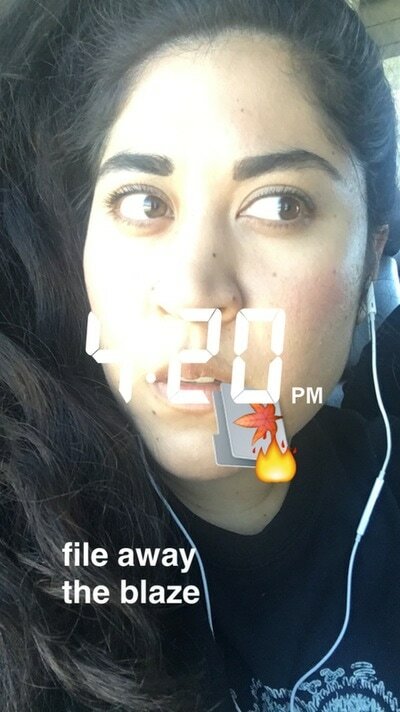 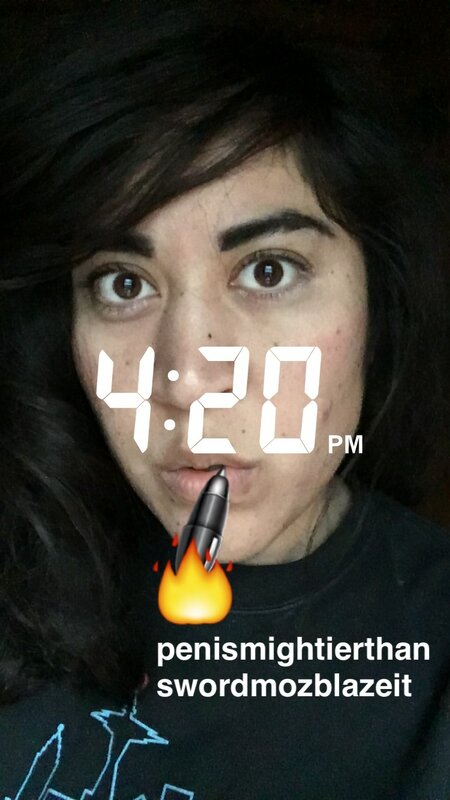 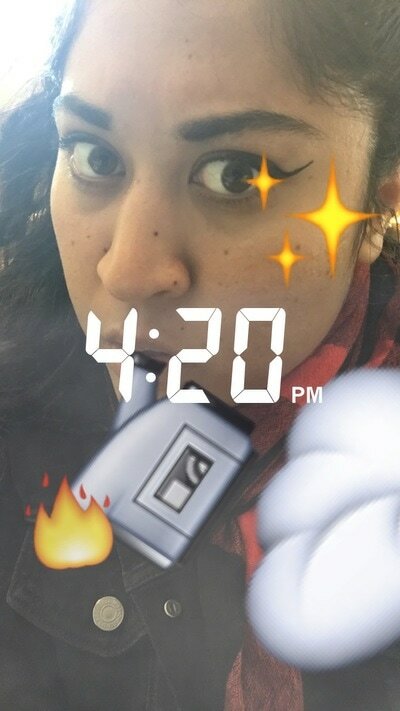 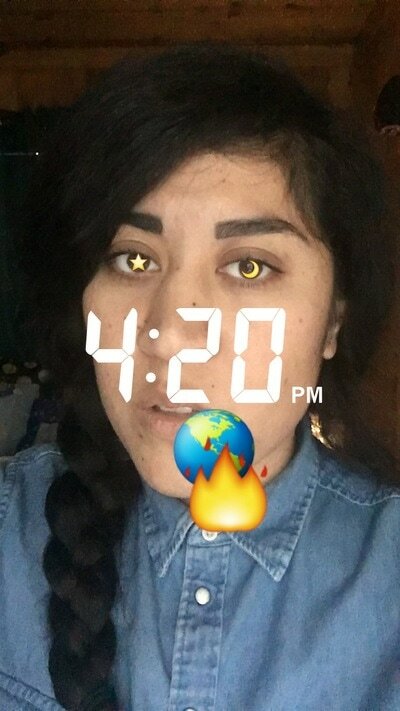 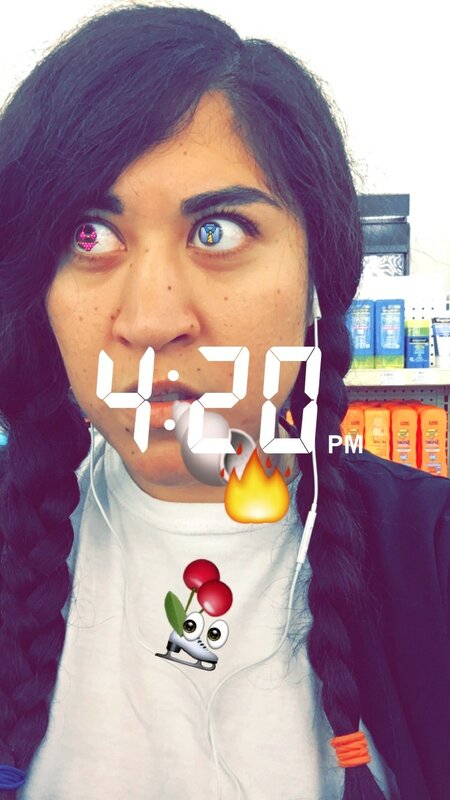 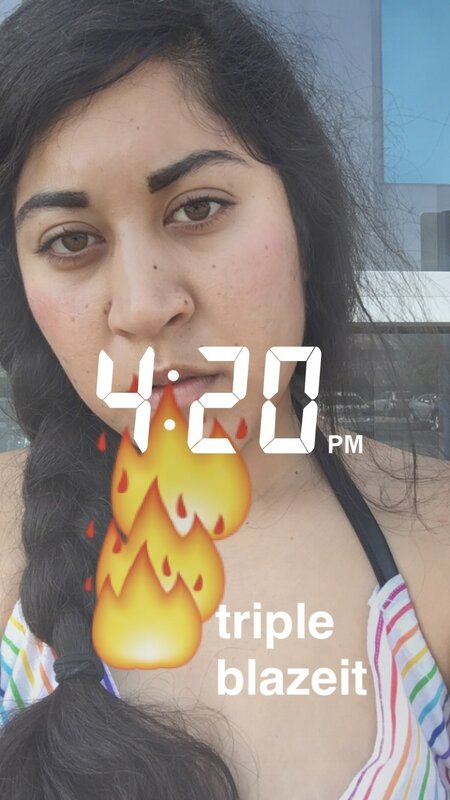 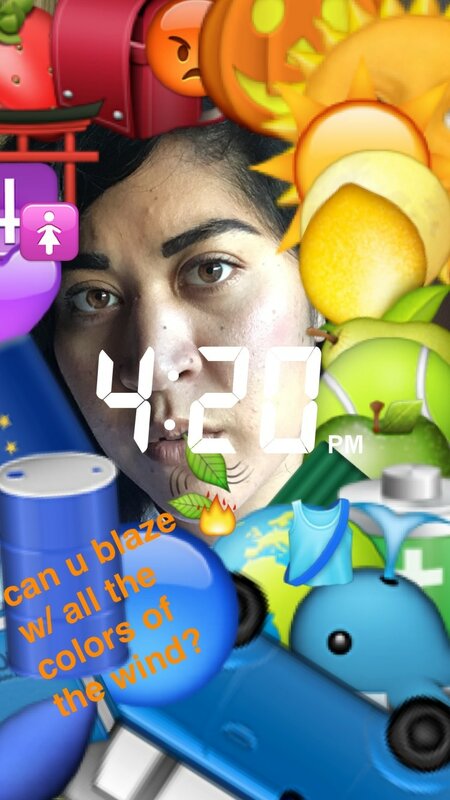 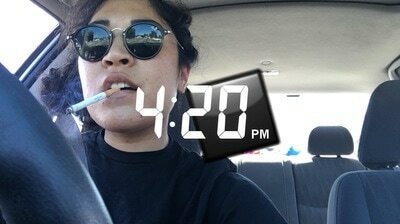 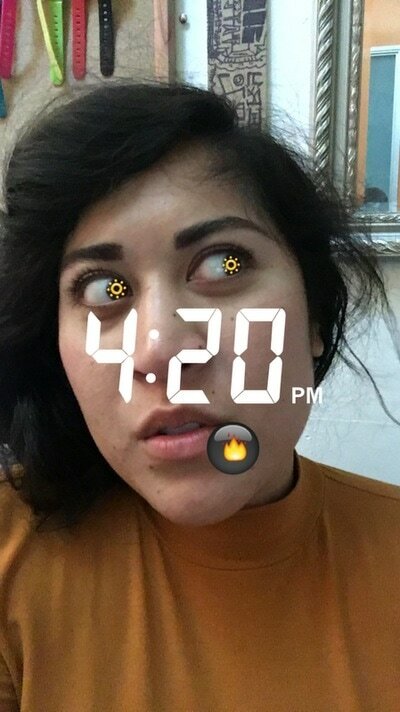 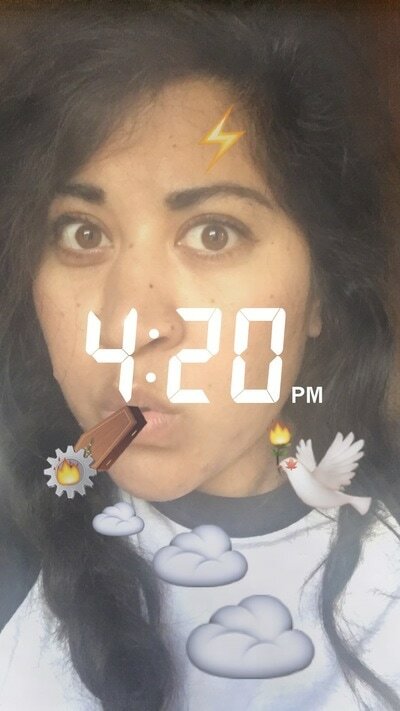 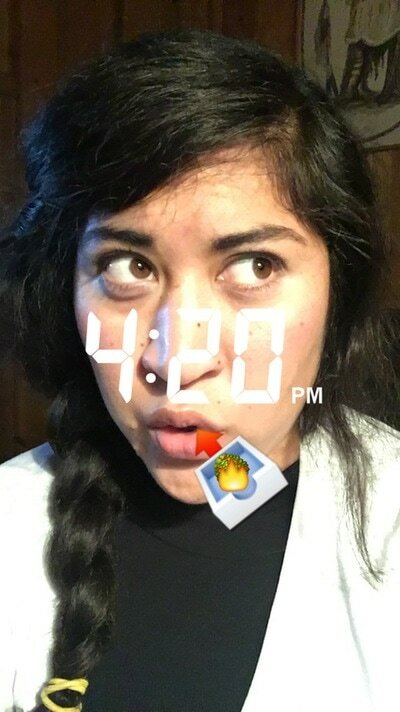 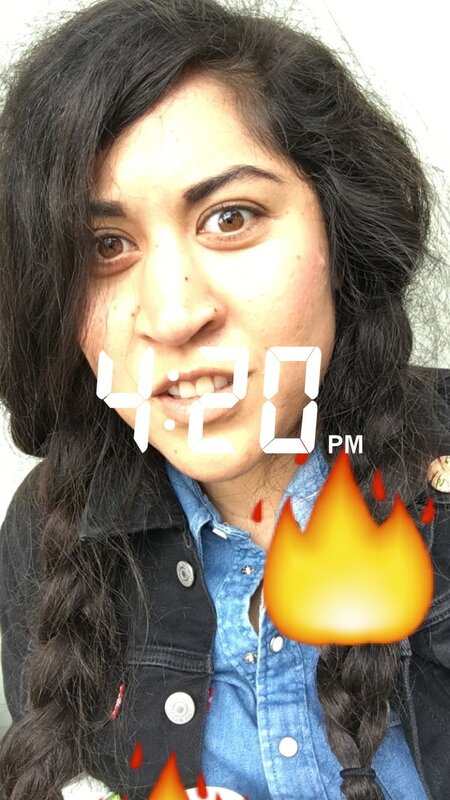 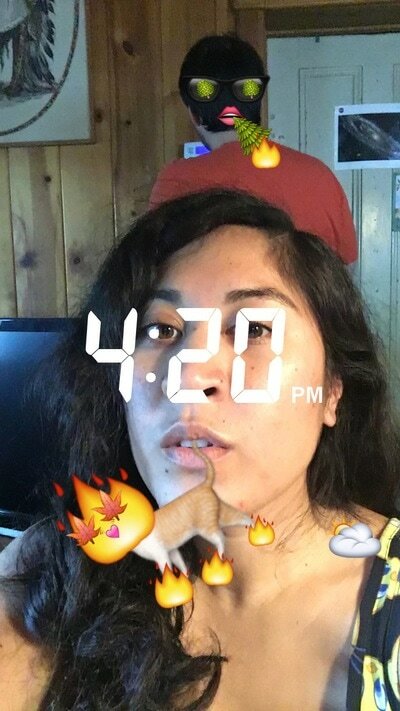 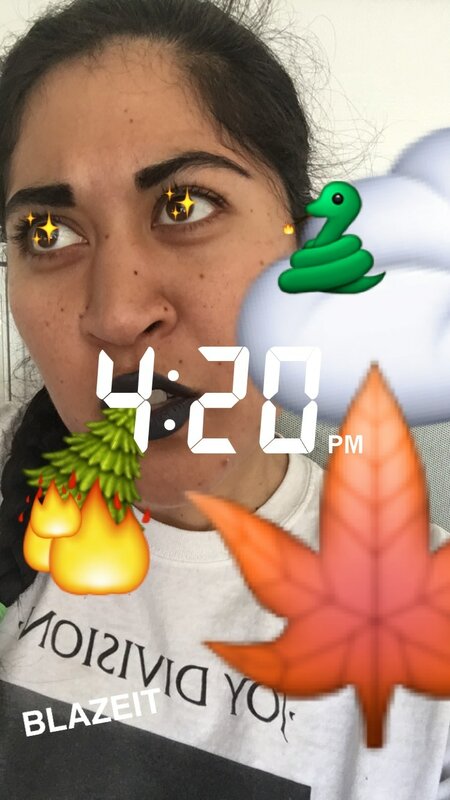 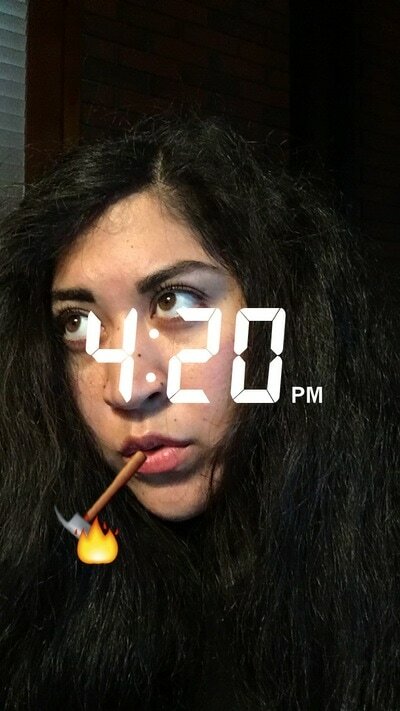 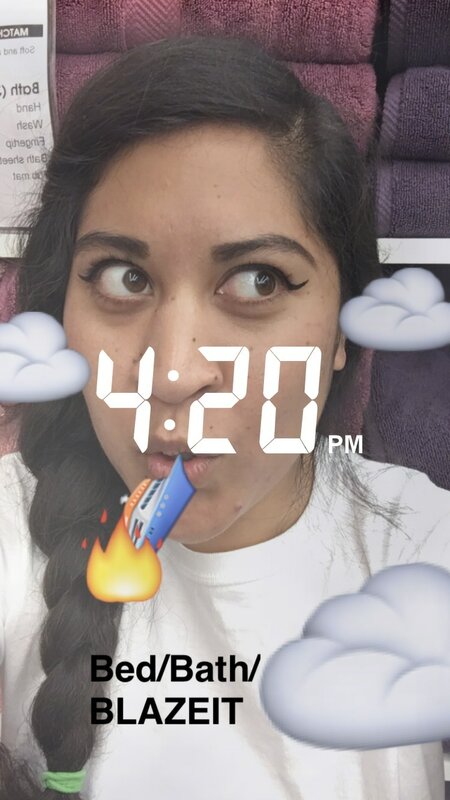 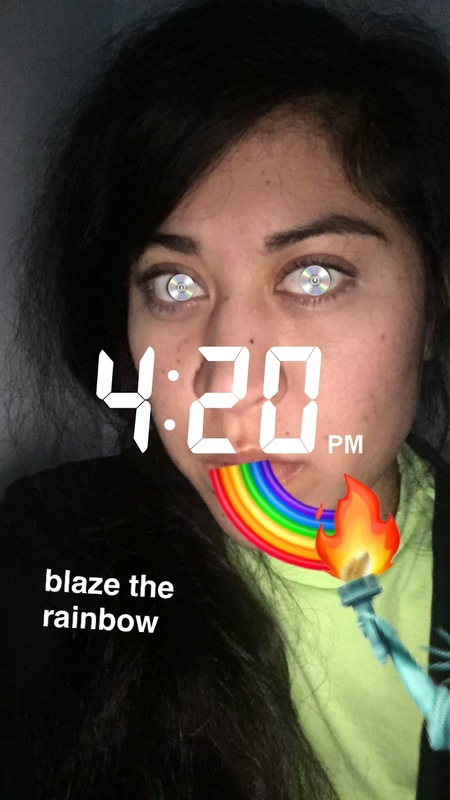 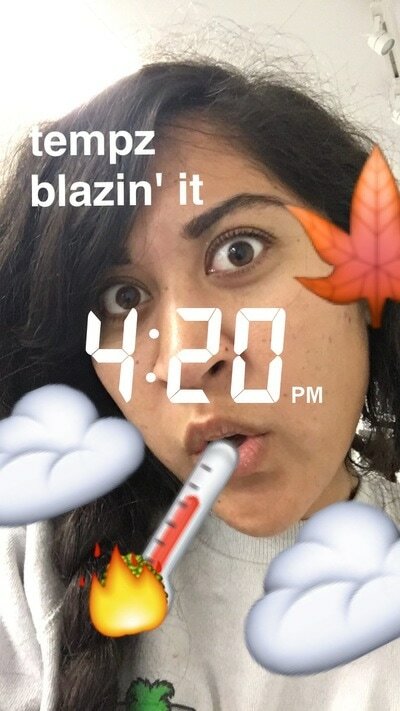 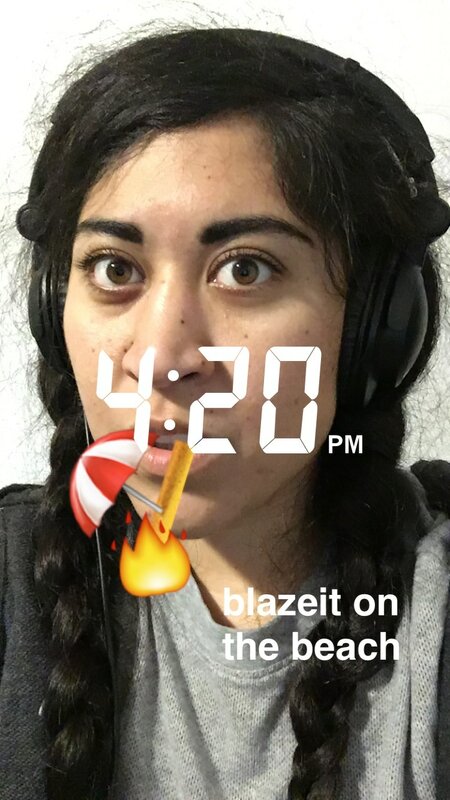 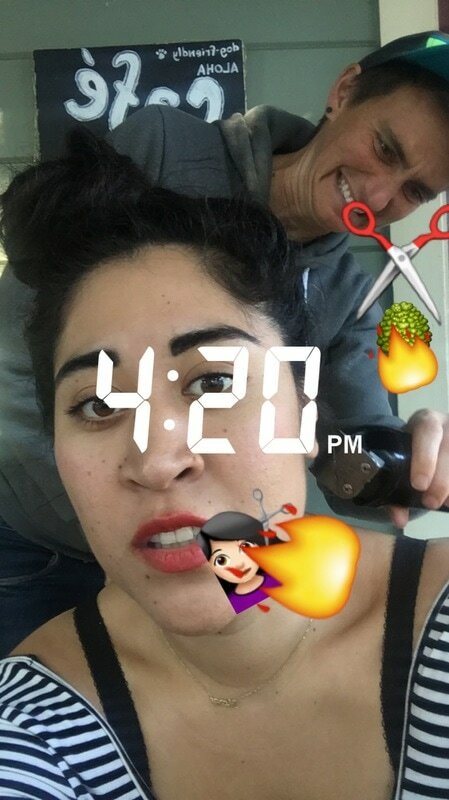 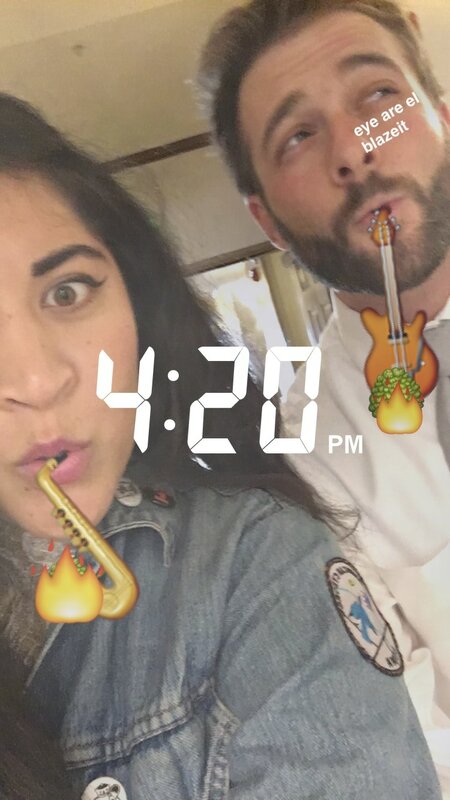 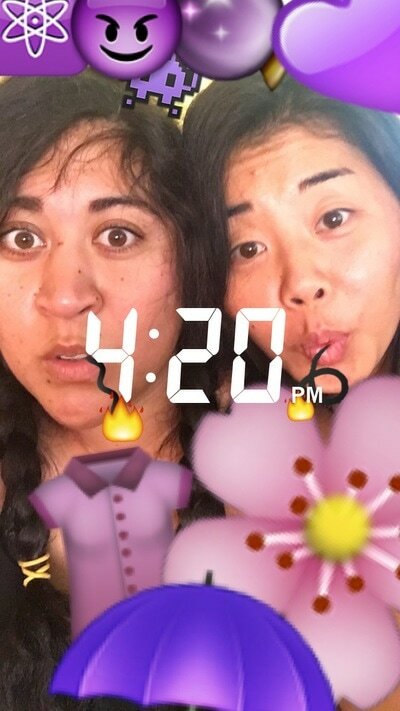 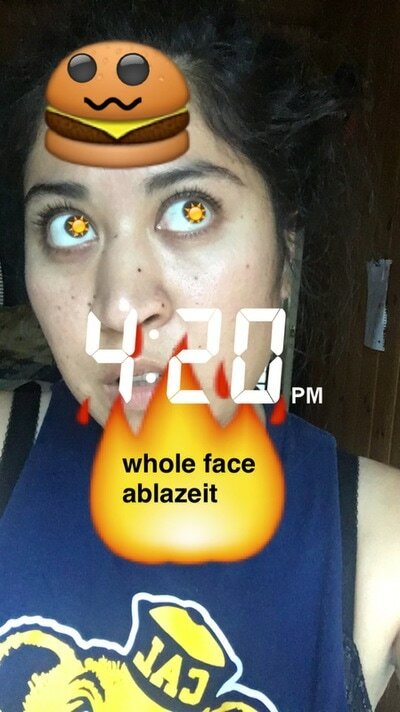 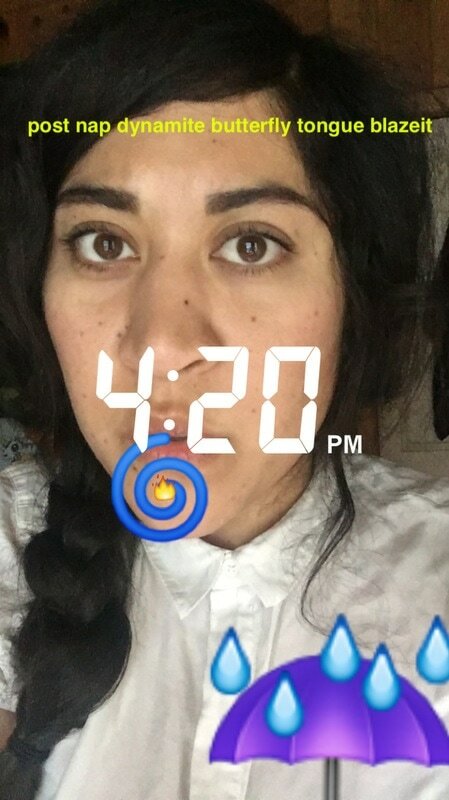 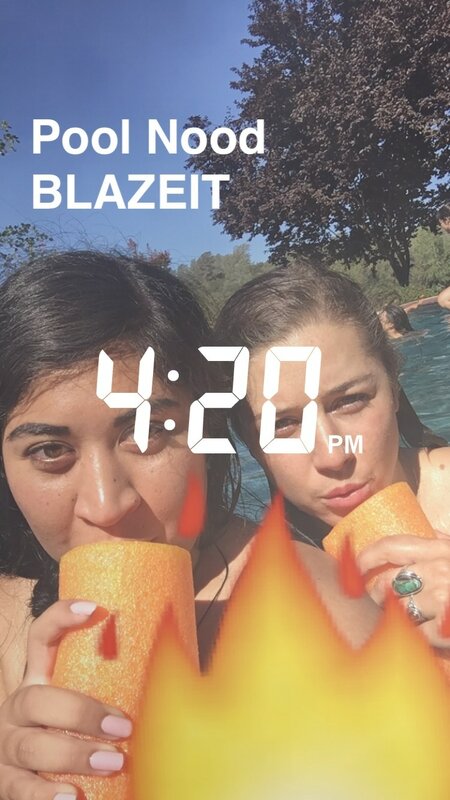 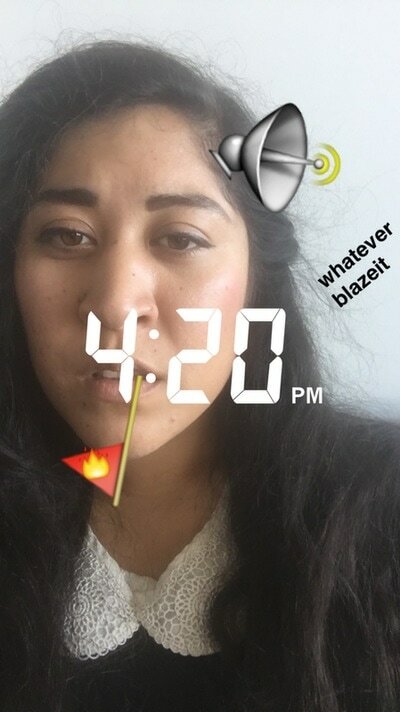 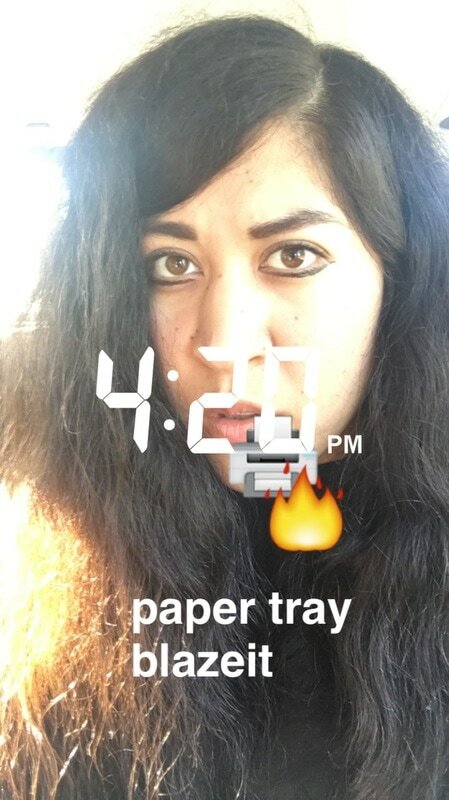 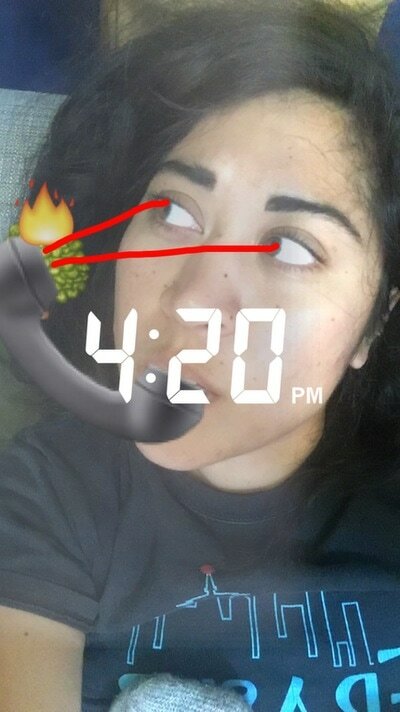 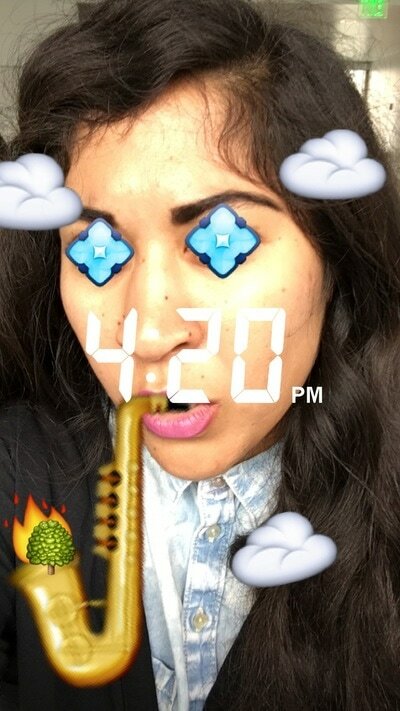 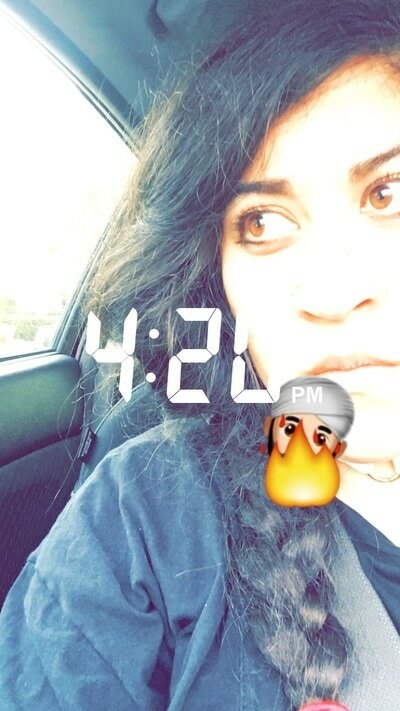 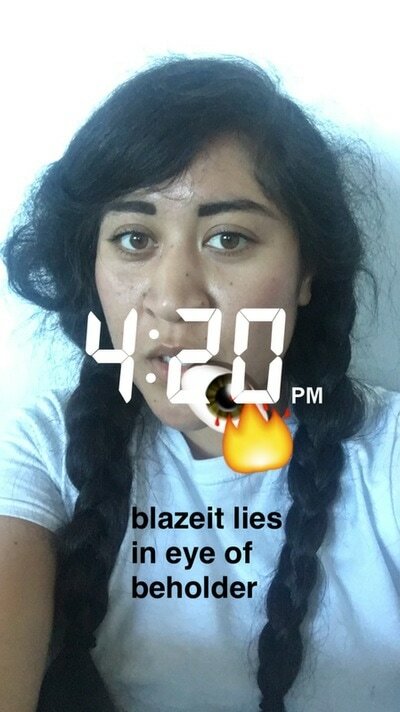 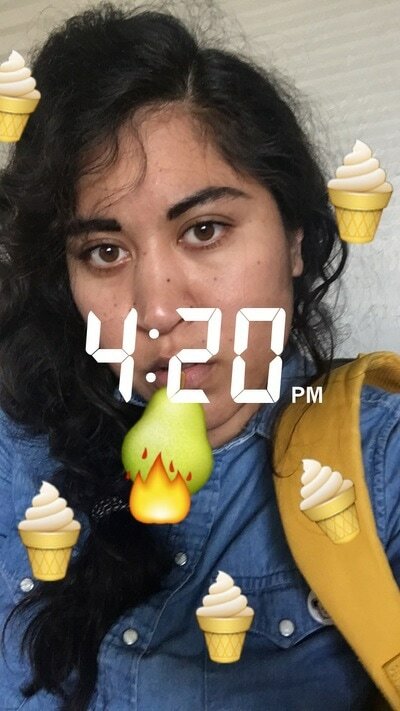 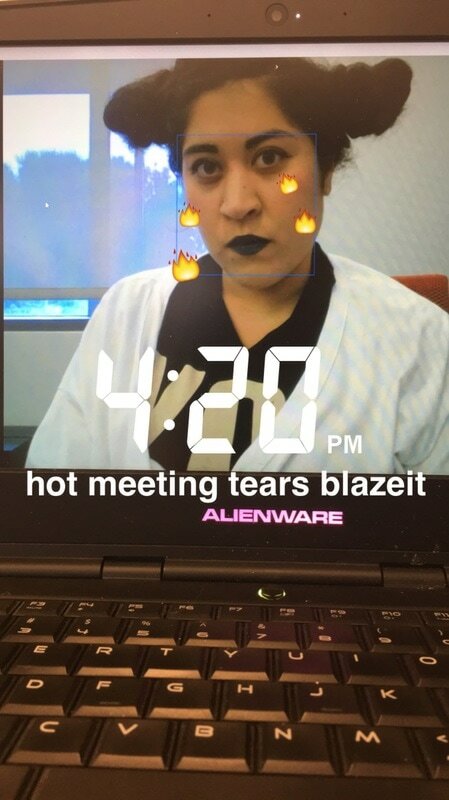 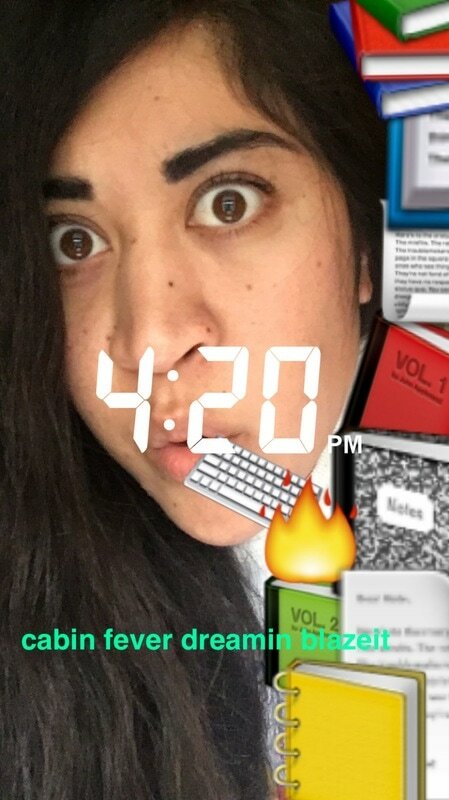 Every day, at 4:20 (sometimes a.m. but mostly p.m.) my associates and I take selfies with Snapchat depicting the use of fabricated marijuana paraphernalia, using emojis, the paint tool and the timestamp.